Kevin Caccamo has released pictures of a new Drayman model. 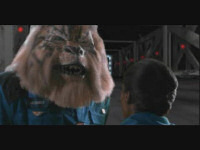 If it doesn't look familiar to you, that's because this Drayman comes from Super Wing Commander. 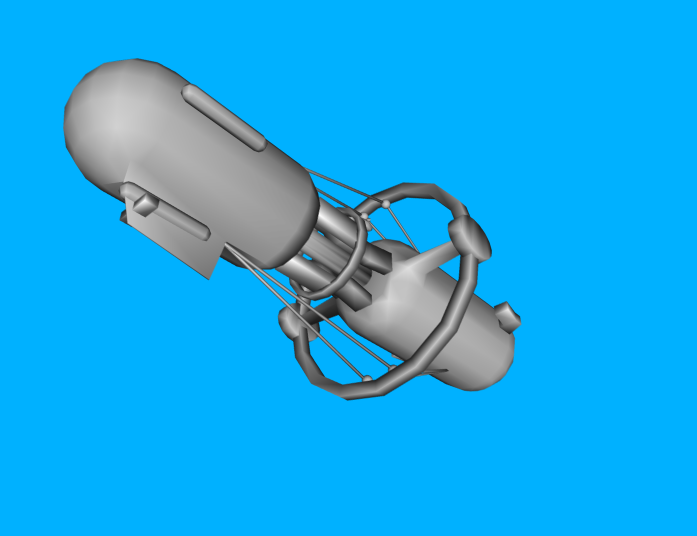 It's not yet complete, but the basic structure is all there. 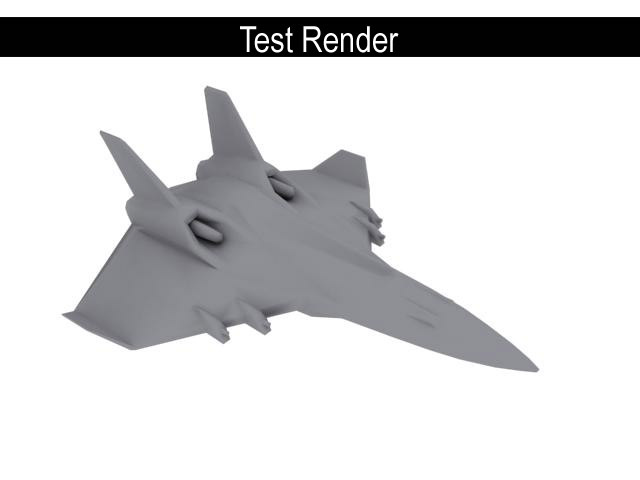 The model comes in at 1206 polygons and is set to be included in a future update to Kevin's WC1 Remake for Flight Commander. Shots of the Drayman from SWC's Claw Marks and Origin's original model are also pictured below. 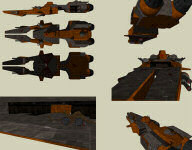 You can check out more ships from Super Wing Commander here. 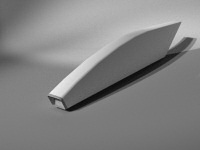 June 5, 1992 - Origin returns from a succesful CES show in Chicago! Buzz and sales of Ultima VII and Underworld are good and a series of important pre-orders for Strike Commander have been made. Now the game just needs to make it out. 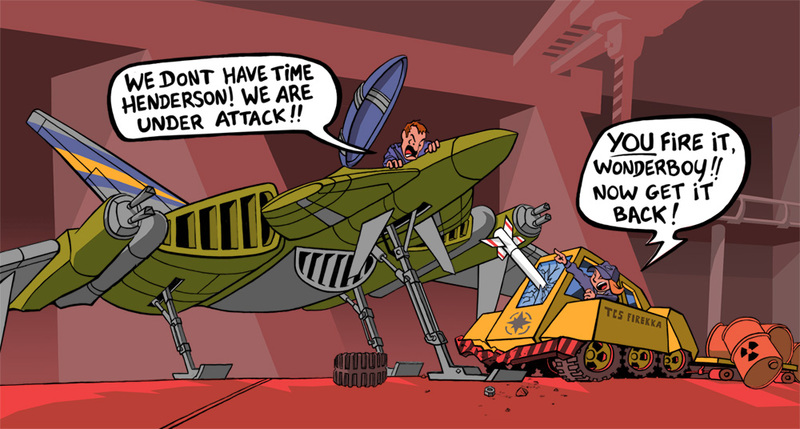 Wing Commander references are limited in this one, but the overall mood is good - Origin's purchase of a new building sounds more and more certain! Check it Out mentions that Wing/U6 and Wing Deluxe CD-ROMs have been added to the new company library. 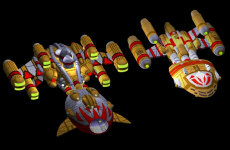 It also mentions but does not detail two reviews: "Wing Commander, U6, U7 and Underworld from Kapa (Italy)" and "Wing 2 from June Computer Shopper". 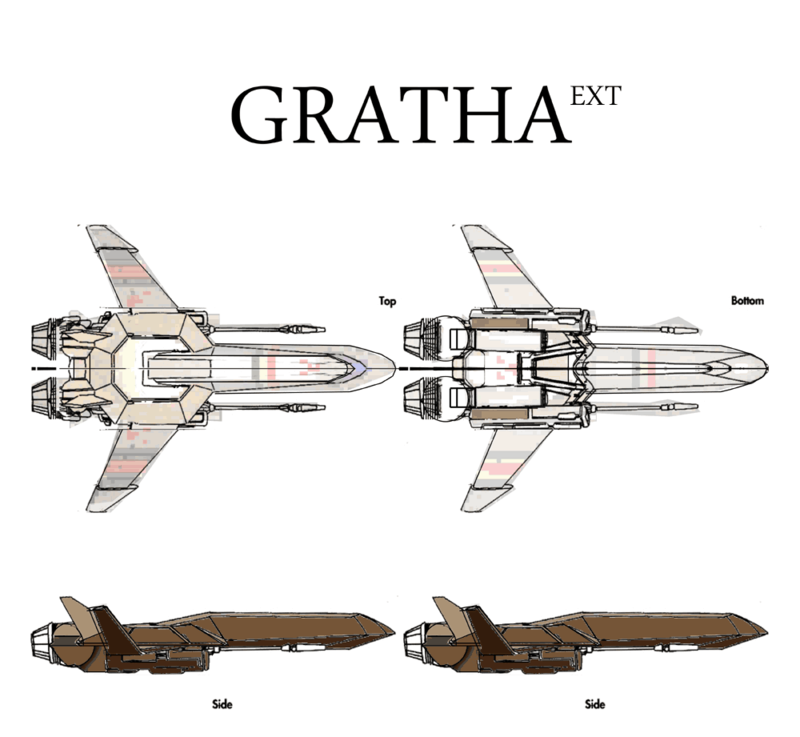 Where there's Gratha, there might also be Fralthi close behind. 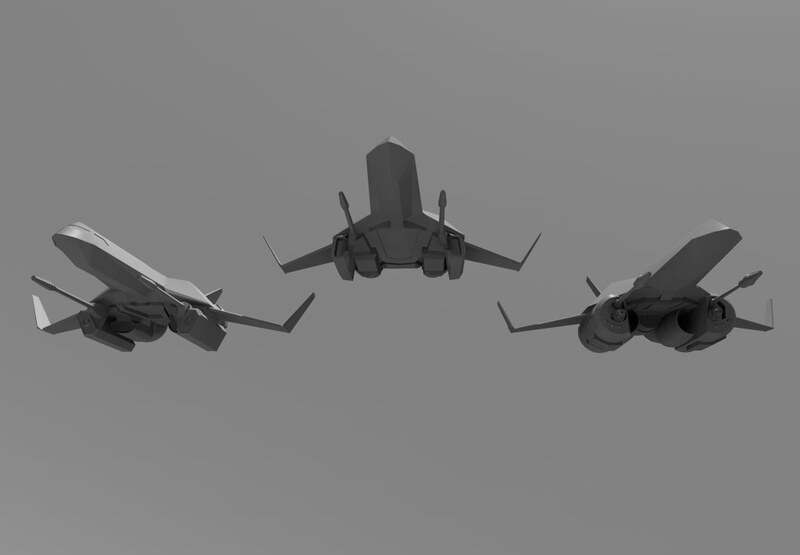 Michelle has followed up on her 500 polygon fighter model with a 500 poly capship. 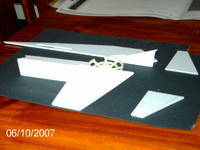 The main spaceframe is one solid mesh with engines and glass elements merged separately. 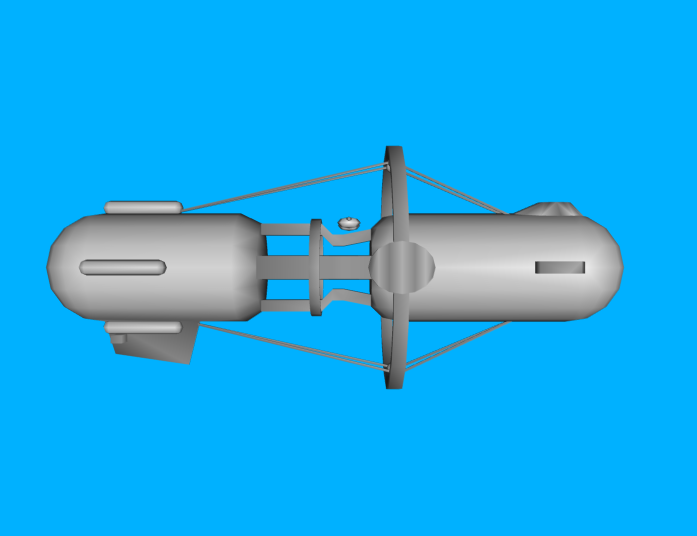 Both light carrier and cruiser variants were modeled, and a neat cutaway perspective even provides a look at a possible interior. Here's another look at the missing Centurion, this time from the original model sheet sketches. 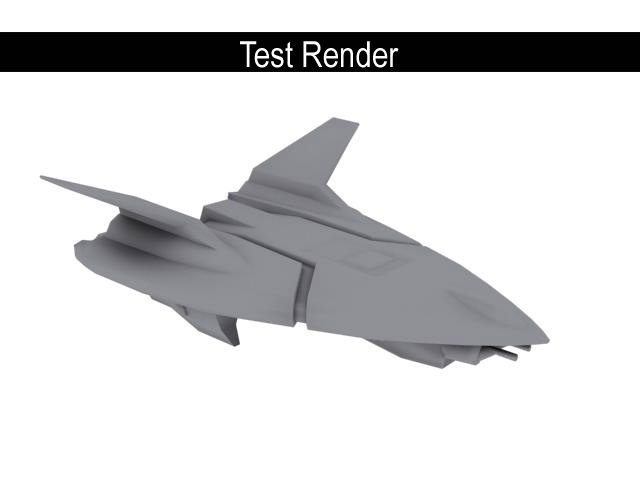 The Centurion model was actually completely rendered and textured - we saw the finished version when we visited Gaia! 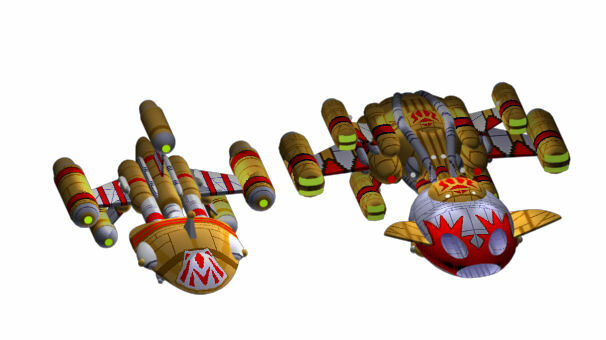 Only one variant was created, though, which gives you an idea of what point they were removed from the game. 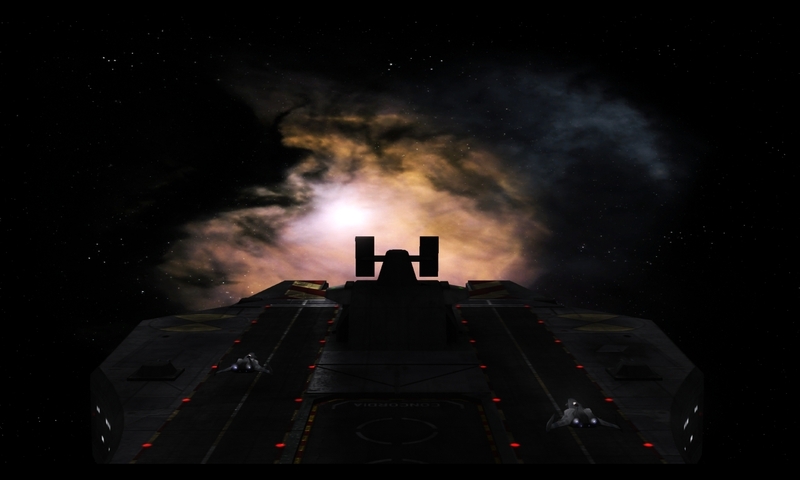 Kosh's Wing Commander mod for X3: Reunion is now available! 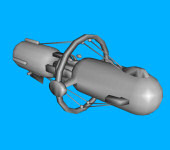 All of the ship models have been revised since the last update and several new ones have been added! 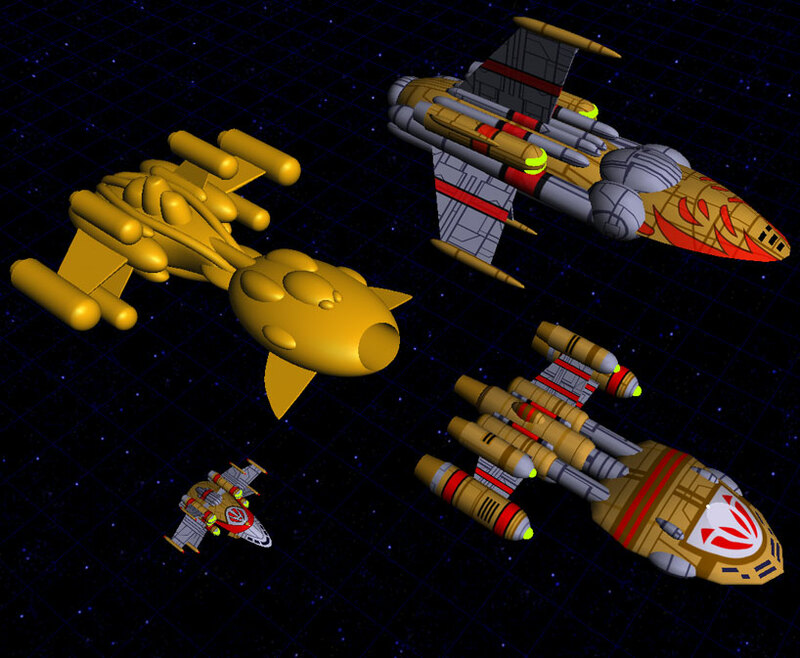 You can find the 17 MB package, which includes 18 ships largely taken from the original Wing Commander, here and can read more about the mod in threads here (English) or here (German). Those following the story of Origin through these Point of Origin newsletters can rest easy knowing that May 22, 1992 brings no bad news - it's business as usually in Austin (fifteen years ago). 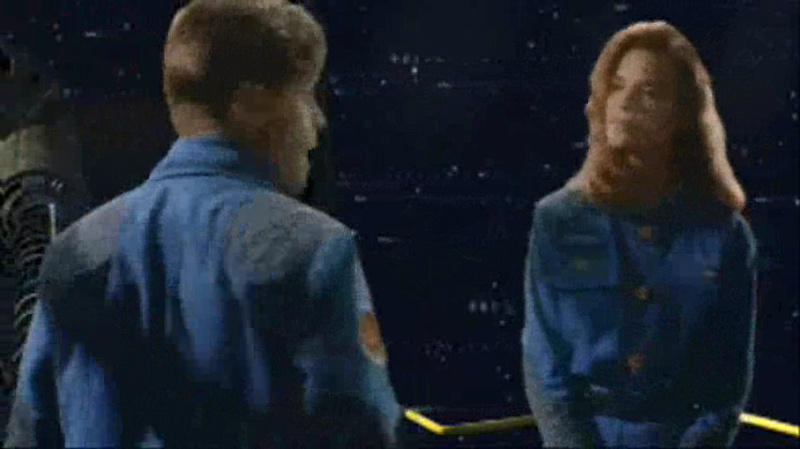 It does, however, have an unusual amount of trivia for interested Wing Commander fans! Check it all out below. Full-Court Press talks about the success of the French presentation mentioned last issue: "They walked out of here with a copy of Wing 2 in French and a glowing review of the translation from Joystick Magazine in their press packets." Target: Chicago talks about Origin's plans for the upcoming COMDEX show:"We'll also be touting Trade Commander (or Privateer (or whatever the heck it ends up being called)... For a little pizazz, there's a nifty Special Ops 2 demo..."
ORIGIN recently issued a three-book license for the Wing Commander paperback novels. All of them will be from Baen Books, which has solid distribution and circulation provided through Simon and Schuster. First comes Freedom Flight, scheduled for release in early December. The story takes place during and immediately following the events of Secret Missions 2. The lead characters include Hunter, a young Kilrathi and two Firekkans. Teaming up as authors will be Mercedes Lackey and our own former wordsmith, Ellen Guon (they've already collaborated on two books). Next summer will probably see the release of the next book--a tag-team effort. Christopher Stasheff (The Warlock in Spite of Himself, King Kobald and others) will wite the first half, focusing on one character. Then, Bill Forstchen takes over at the word processor and writes the second half, dealing with a different character who has to deal with the fallout from the first half. Get the idea? Dear Point Man explains: "There has been a painful precedent for management, marketing and direct sales in this arena... Direct sales of things like shirts and caps (Wings) didn't go as well as planned. There was even an effort to get software retail outlets to carry them, but the channel didn't bite. So the Marketing department's looking for other avenues to push merchandising." Industry News & Notes takes on something that I distinctly remember noticing at the time: "The newest issue from Computer Gaming World (June) is out and it has some ads for an entertainment software company from England trying to invade the U.S. market. The company's called Impressions and nobody seems to know anything about it. They managed to get our attention in a hurry, though. On page 61 is a full-page B&W ad proclaiming Impressions as 'Europe's leading developed of quality strategy games.' It goes on to say: 'Look out for All-American strategy hits from Impressions coming soon.' Turn the page, and you're hit with a four-color ad for Impressions' apparent first release, Air Force Commander. Not only a new developer/publisher, it appears, buit someone who's bracing for some head on competition with the likes of Wing Commander and Strike Commander. ORIGIN already has lawyers looking into the proposed title usage for potential trademark infringement, trademark dilution, unfair competition and likelihood of confusing issues." PC Research H its List March/1992 has two WC games on the sales chart - Wing Commander II at #15 and Wing Commander Deluxe at #20. Sounds like the gamble earlier in the year paid off. 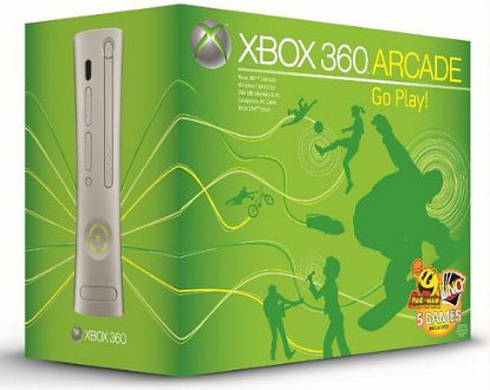 Microsoft has announced a new, cheaper Xbox 360 package that's ideal for our purposes. 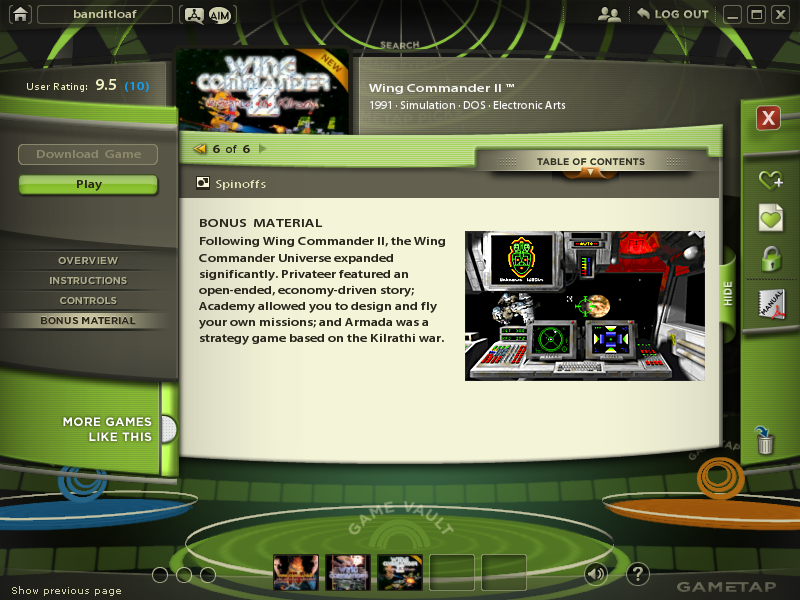 The 'Xbox 360 Arcade' is designed for family gamers interested in taking advantage of Xbox Live Arcade - the service through which Wing Commander Arena is available! It costs only $279.99, a full $70 less than the 'full' system. The downside? It has a 256 megabyte memory card instead of a hard drive. It's more than enough to store Arena, but you won't be able to download videos or other large content without an upgrade. The package also includes full versions of five Live Arcade titles: Pac-Man Championship Edition, Uno, Luxor 2, Feeding Frenzy and EA's own Boom Boom Rocket. The hardware also includes a wireless controller, an HDMI output and the 'upgraded' chipset developed to prevent overheating. 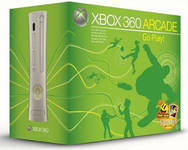 Xbox 360 Arcades are available now -- if you've been putting off picking up the system to play Arena, now is the time! 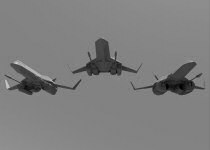 This is the third of three test 'clay' renderings, showing the basic 3D shape of ships designed for Wing Commander Arena. 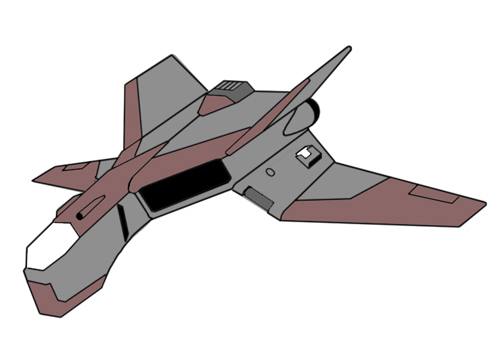 This one, however, didn't make it into the game - it's the Centurion heavy fighter, of Privateer fame! 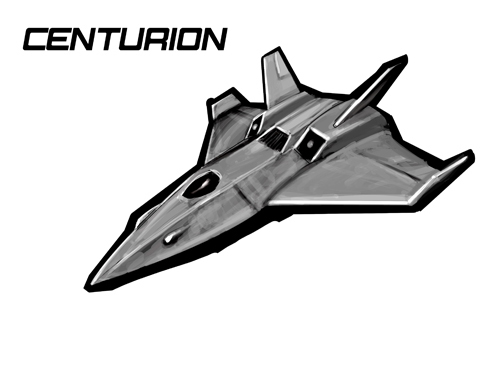 The rumors were true: the Centurion was one of two heavy fighters which were developed for the game and cut late in development... and you'll be seeing more of it in the near future! Plywood Fiend has put together another Wing Commander music video, his first in over a year. 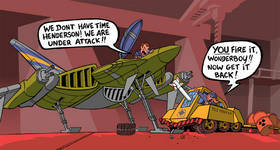 "Poor Flint" follows Flint's perspective on the Blair and Rachel relationship in Wing Commander 3. It's set to "I'm Not That Girl" from the Wicked soundtrack. You can download the 15 meg WMV here. Plywood has also posted the shot to YouTube here. Greetings all. This one's a considerable shift from my standard doom, death and destroy all ye see type of video. It's something of an exploration of Flint's reaction to Blair picking Rachael. 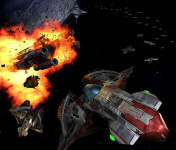 Battlestar Galactica made it out on XBox Live Arcade this week. 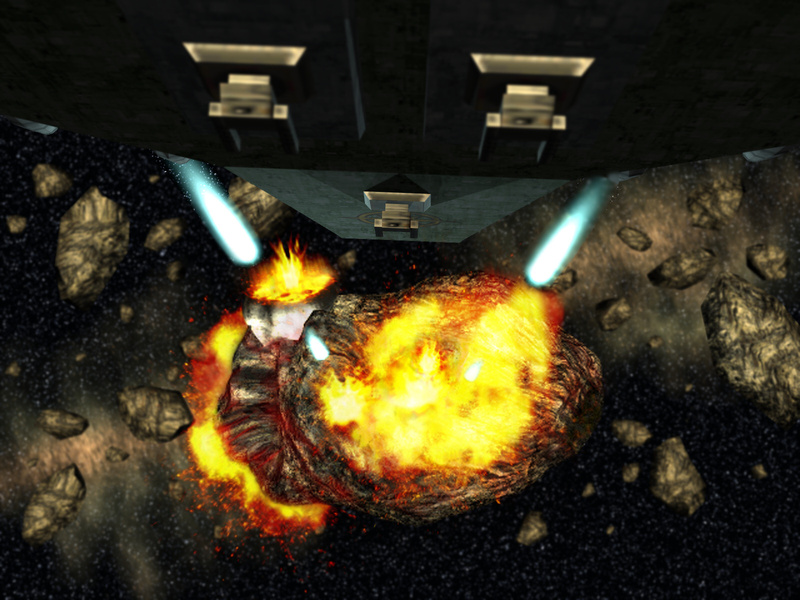 The regular gang in #Wingnut's been busy with Prophecy multiplayer, Arena and other hot XBox releases lately, but we did find one experienced Wing Commander fan who's given it a shot. Here's Ironduke's impressions. It felt like Arena on a diet. 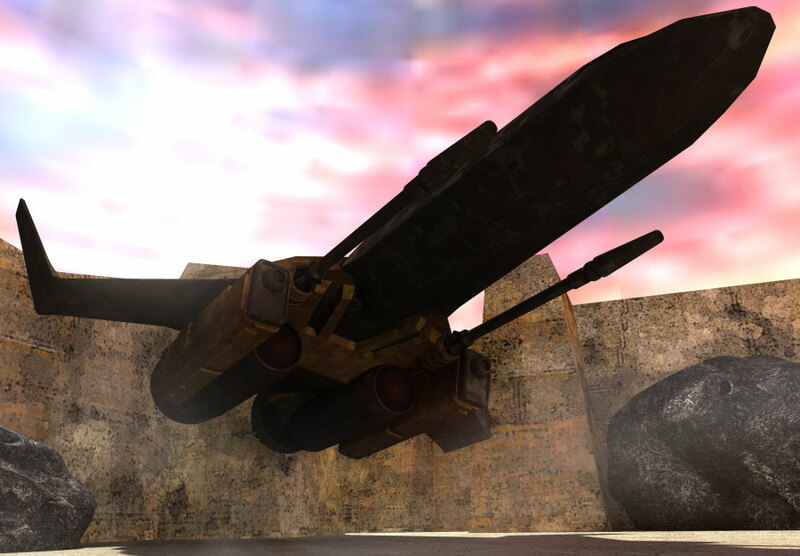 And if anyone thought Arena's demo was meager, he should try the BSG demo. By the way, I couldn't stand that cutscene anymore after having to watch it the fourth time without being able to skip it. Arrrgh! Don't you think the similarities between those two games are quite striking? 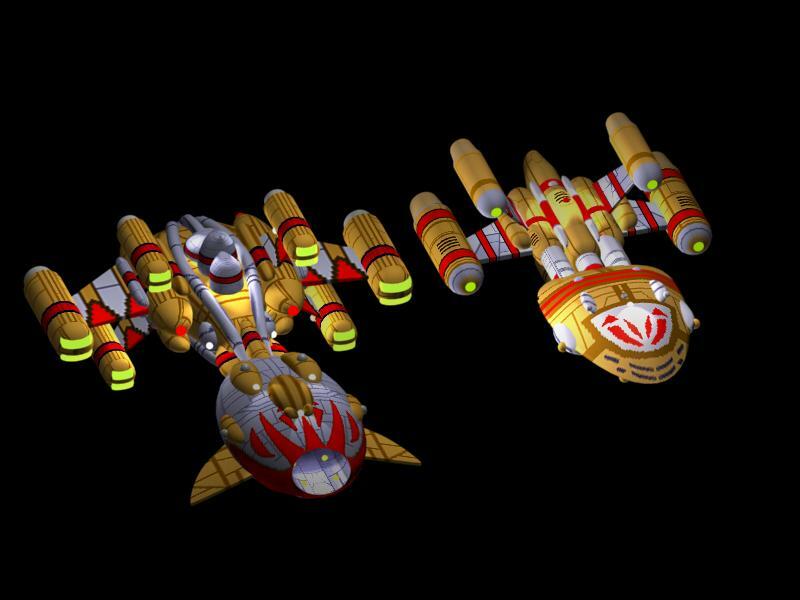 Well, apart from the fact that they're both space shooters, Galactica seems like an Arena clone with a little less variety to me - from fighter selection to game modes to pick-ups. 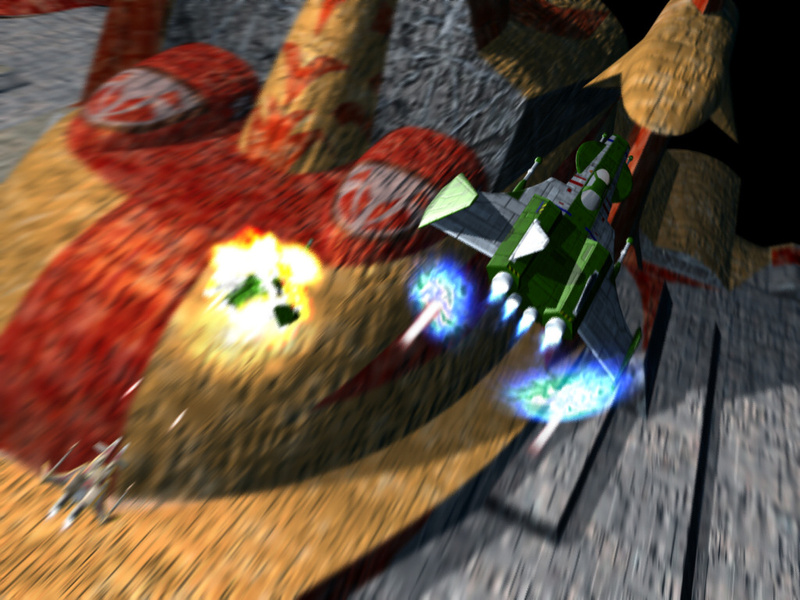 It even features the barrel roll and some sort of Immelman turn as special maneuvers, accessible via the right stick. I admit I expected more from BSG. While the graphics quality is nice (IMHO even better than Arena's), it just doesn't feel right. It's like playing Test Drive Unlimited after playing Forza Motorsport 2, if you know what I mean. After playing that demo, I just had to start up Arena again. Hopefully other people will do the same, finally recognizing what great an arcade game Arena really is. Sounds about right. Just by the numbers alone (fighters, game modes, max players in multi, etc), Battlestar has half the content of Arena. It's available on Live Arcade now for the same price, 800 MS points (~$10), and PC for $19.99. Here's another neat sketch from NinjaLA. 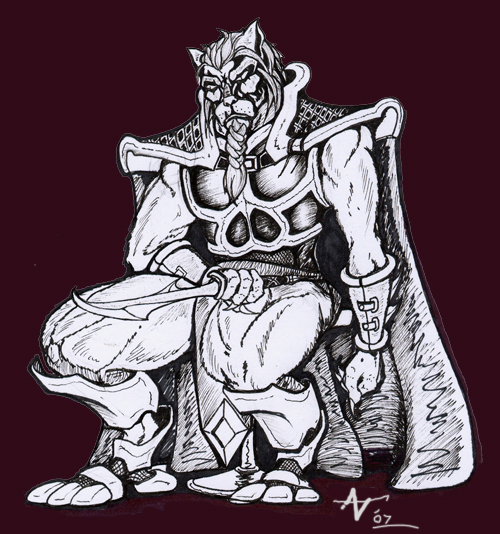 The Kilrathi below incorporates more detail than some of his previous feline drawings, and he's included an ornate sword and elaborate armor to embellish the pose this time. Ninja's done a good job of creating a sitting character that also appears ready to pounce. 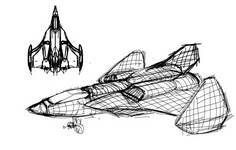 The overall direction was inspired by some of the earlier Kilrathi in the Wing Commander series, but next time Ninja hopes to incorporate later influences such as the WC Movie. There comes a time in every man's life where he has to sit back.. assess his life and draw a giant man-kitty. Issue size on the rise, Wing Commander on the decline... May 8, 1992 brings us a big fat Point of Origin that only mentions Wing Commander twice! At this point in the year the company is devoted to supporting the (then) system intensive Ultima VII and Underworld products while trying to get Strike Commander finished. The first signs that Privateer is in the works show up, here, too! 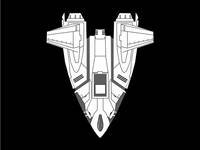 On the Payroll wins the award for being the first to mention Privateer: "On the programming side, Alex Jen has joined the Trade Commander/Privateer team. Originally from Taiwan, Alex was also an assistant in acoustics research at U.T." Mais, Oui! reports on an event to help cement Origin's new presence in France. It ends with a joke about Wing Commander: "Jean-Marc and our new French translator, Betty, will be on hand to convert words like 'Kilrathi' and 'furball.'" Michelle D is crazy about Grathas, and there's a bunch of evidence to prove it. The shots below represent various stages on the road to a 500 polygon Gratha model, and the results look good. 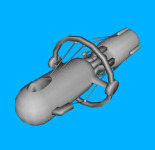 Modelers can grab an untextured version of the ship here (50 kb OBJ files). The design should look familiar. It's shown up before as the star of the Dibb's Salvage series. 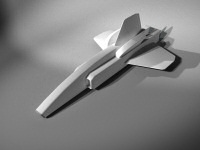 You can find more poses and renders from earlier drafts over at Crius.net. 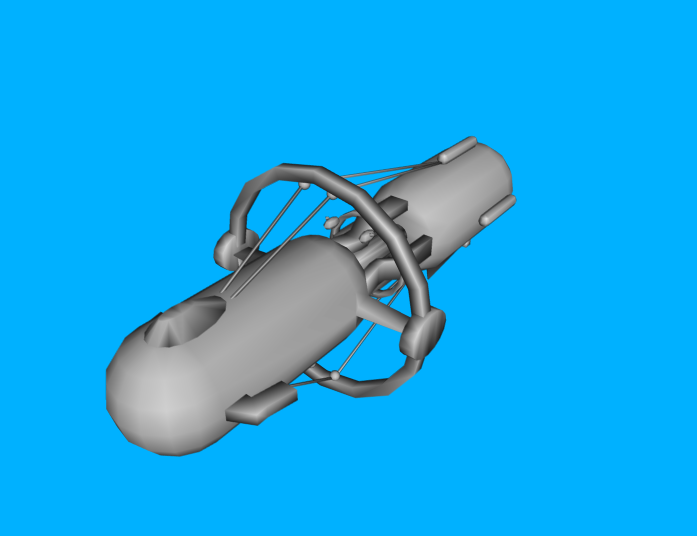 I try to make an accurate model as well as my own variations, because I understand how some fans can be very nit picky about accuracy. I think it takes a few variations to really discover what's what when transitioning from 2D to 3D. I also liked the challenge of the low poly models as I've seen some rather impressive ones and not so impressive ones, hopefully mine makes the cut. This is the second of three test 'clay' renderings, showing the basic 3D shape of ships designed for Wing Commander Arena. 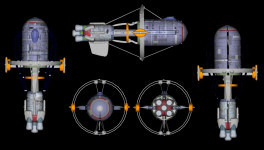 Unlike the Arrow rendering, the major changes incorporated in the Dralthi IX have already been developed at this point - specifically, the large engine scoop which replaced the Dralthi IV's smaller weapons pod. 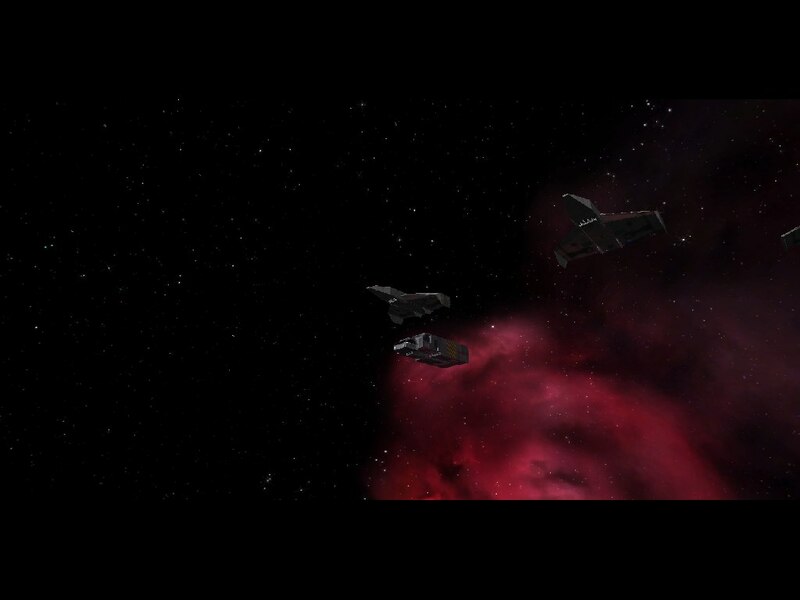 The WC Saga team has released a campaign that mirrors some of the first few missions of Wing Commander 4. The package is a result of extra game models and the need to test mission branching and video integration. To try it out, first install the WC Saga Prologue. Then unzip this pack (75 meg zip) into the Prologue's install folder and select "Wing Commander 4 Demo" in the game's campaign select screen. As some of you might be aware, a set of unused Wing Commander 4 models for was released a few weeks ago. The set included the Avenger, Banshee, Vindicator, Durango, Bearcat, Lance, marine shuttle and a prototype of the Stormfire gun. I have created a loose remake of eight missions from Wing Commander 4 to showcase these models. The demo package features the original voice-overs of Mark Hamil, Jason Bernard, and the other classic WC4 actors who were highlighted in these missions. 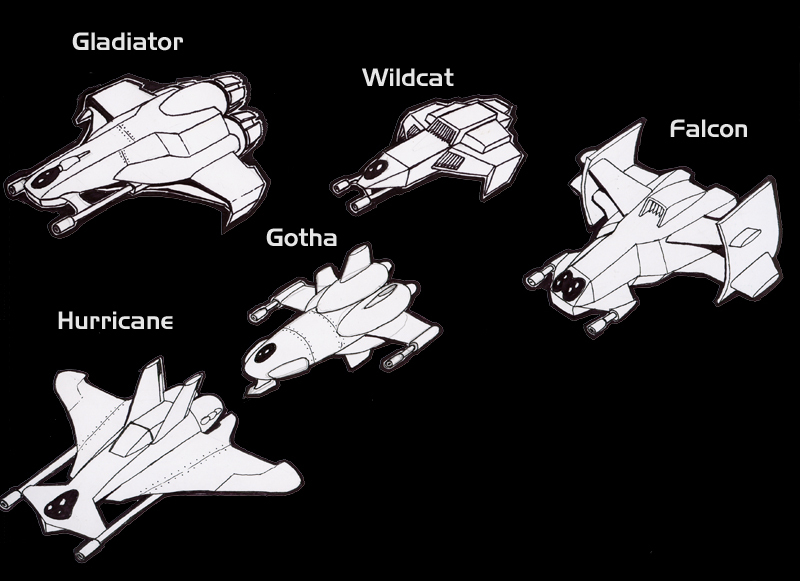 Briefing sequences are also included. Better news - it's now less than a month after the last issue of Point of Origin (April 20th, 1992) and Ultima VII: The Black Gate has shipped! Can Strike Commander be far behind? Well, everyone already knows - yes, it can. Nevertheless, things are looking good for Origin... but the steady stream of praise for Wing Commander 2 is fading into the background now. How long until we start hearing about Academy, Privateer and ORIGIN FX? Wing 2 Wins Again is self explanatory: "Wing Commander 2 picked up two more awards a the prestigious European Computerr Trade Show: Best Sound and Best Graphics. In the newly-resurrected PC Entertainment (formerly Game Players PC Entertainment) Wing 2 picks up an Excellence Award but loses Game of the Year to Chuck Yeager's Air Combat (EA) and Best Arcade/Action Game to Hoverforce (Accolade)." 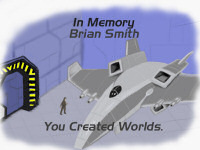 Two days ago, we reported the sad news that Origin and Wing Commander artist Brian Smith had passed away (story). At the time, I wrote that I wanted to know who Brian Smith was. Thanks to his friends, we have: Billy Cain, Carol Roberts and Todd Yarbrough have all written in to help us remember their friend. They have my most sincere thanks. I'm also proud of the community - fans have written notes, drawn pictures and rendered space fighters in Brian's memory. It seems appropriate to me; you're a good group. You can find all of that at our memorial page. We'll continue to update it - if you'd like to contribute, please contact us. We lied - there's one more Arrow! 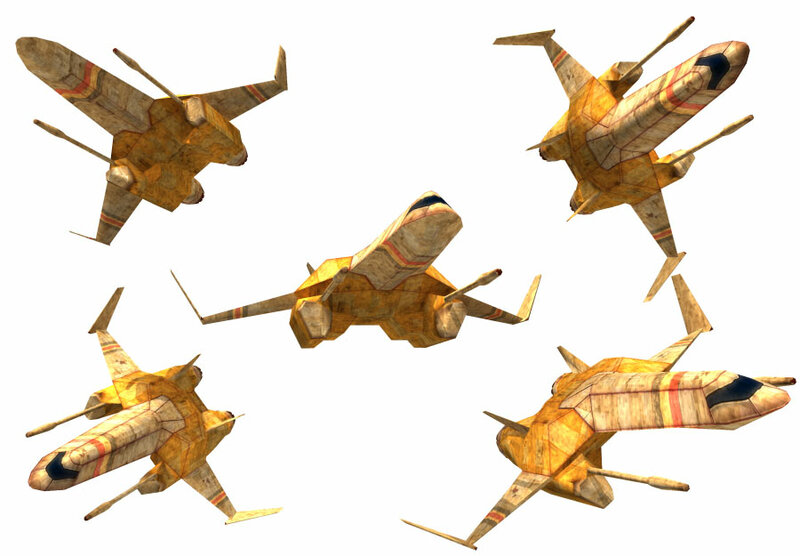 This is the first of three test 'clay' renderings, showing the basic 3D shape of ships designed for Wing Commander Arena. Note how much closer this Arrow seems to be to the original Wing Commander Armada style than the ships which appeared in the finished game. 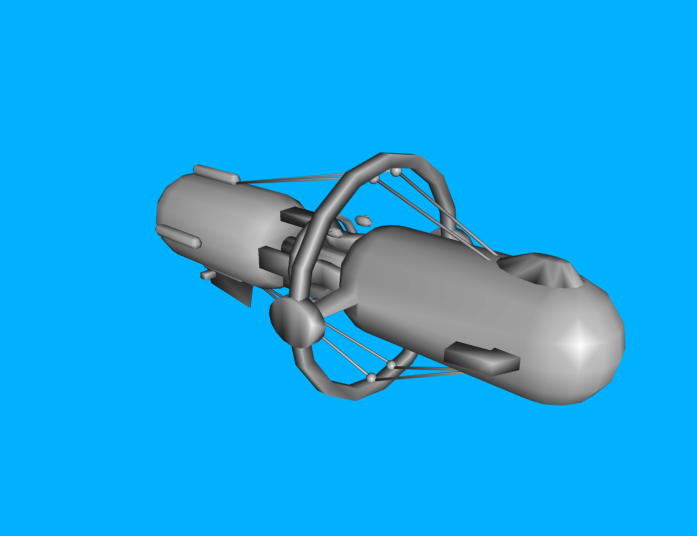 It's been a while since we've seen a new project from Cyberion, but he's back in action as a modeler. 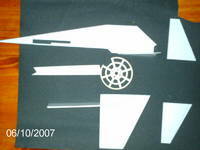 His latest ambition is a high quality Razor light fighter. This new design improves on the original ship from a couple years back (see wallpaper), and he's currently soliciting feedback on certain components as they gets built up. 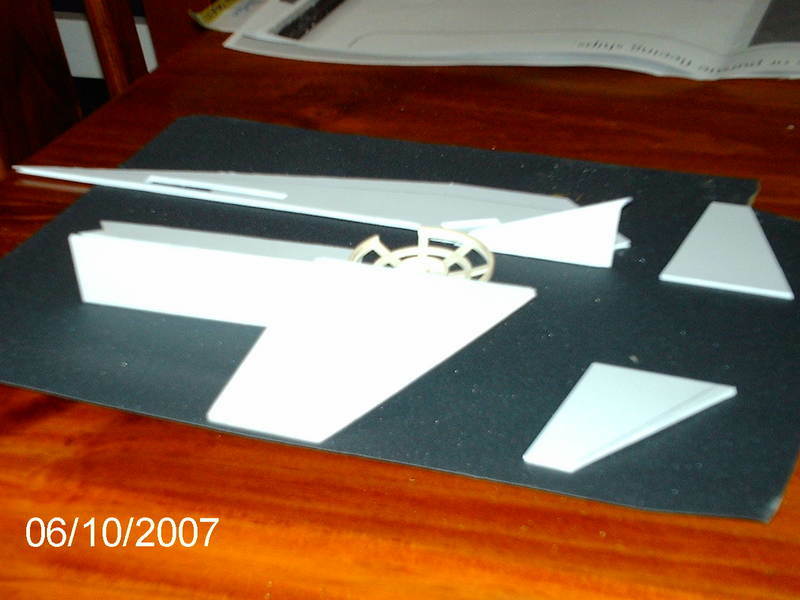 The shots below show an interesting progression from initial fuselage to roughly complete spaceframe. It should look neat when all is complete. You can help provide influential feedback over at Crius.net. Good news - it's March 27, 1992 and Ultima Underworld has finally shipped! Things are looking up for Origin in this Point of Origin newsletter.... but unfortunately, that comes with some bad news for Wing Commander 2. It didn't win the hoped-for SPA award. You can't win them all! Always a Bridesmade, subtitled "Wing 2 Deseted at the Awards Altar", brings disappointed results from the SPA awards show hyped in the past several issues: "(Seattle)--A long-standing ORIGIN tradition continued last Thursday night at the annual Software Publishers Association (SPA) Excellence in Software Awards. Wing 2 was up for awaards in three separate categories: Critics' Choice, Best Entertainment Program and Best Action/Arcade Program. But when the envelopes were opened, ORIGIN representatives remained ensconced behind cold plates of rubbery chicken." Making Noise in Europe reports on another set of awards for Wing Commander 2: "Congratulations to all the sound gang for Wing 2, which won the 'Best Sound' award from Generation 4 magazine. It's the latest in a string of several audio/music/sound/speech honors bestowed upon the WC product family. Great job, guys. Wing 2 was a leading nominee in a few other categories, along with ORIGIN in the 'Best Overseas Software House' category and Martian Dreams as 'Best FRP.'" December Hits List lists sales rankings for the end of last year. 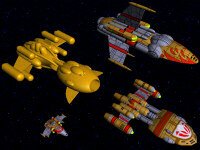 Wing Commander II is #10 and Special Operations I is #14. We've just been informed of some sad news: a member of the Privateer development team passed away earlier this week. 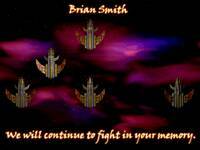 Brian Smith was an Origin artist who worked on Privateer, Righteous Fire, Runes of Virtue 2 and the Longbow series. We've put together an online memorial here. I've tried to put together a few words - we would like very much for fans to send along their sentiments to be posted as well. The work that he did affected us all and it seems important that we remember him. Brian G Smith, 53, passed away suddenly Oct 14, 2007 near Snowmass, Colorado. He graduated from Lanier High School in 1973, and became an amazing artist. His two main loves were sci fi and art, and he combined them in everything from traditional paintings to computer games, and even a 10-foot long spaceship model with a control panel, lights, and tons of moving parts. His astounding multi-panel ceiling paintings resembled views from spaceship windows. Brian worked at various computer game companies, including Origin Systems. He loved riding his mountain bike and playing with his cats, Cora and Puma. He leaves behind his mother, Marlene of Manor; and sister, Laini Giles of Milwaukee, WI; plus numerous good friends. A memorial gathering is planned for Sunday October 28 at 2:00 p.m. For more information, call 512-301-3479 and leave a message for a return call. 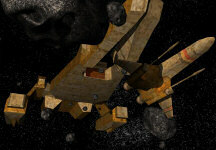 Klavs' Concordia model (original report) is getting quite a workout! First, Gevatter Lars has used it to create a neat 'artsy' wallpaper - a view from the ship's bridge as a pair of Rapier IIs launch. 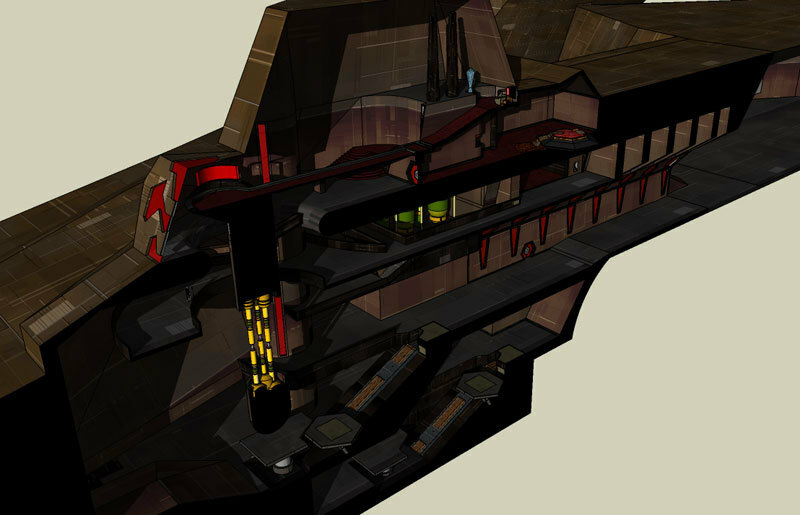 Then Klavs himself has created a new image to show off how the internal flight deck looks - check out all that amazing detail! You'll be able to see even more of the Concordiamodel once the Wing Commander Saga fan project is released. Here's another original Confederation ship... but not much is known about it! 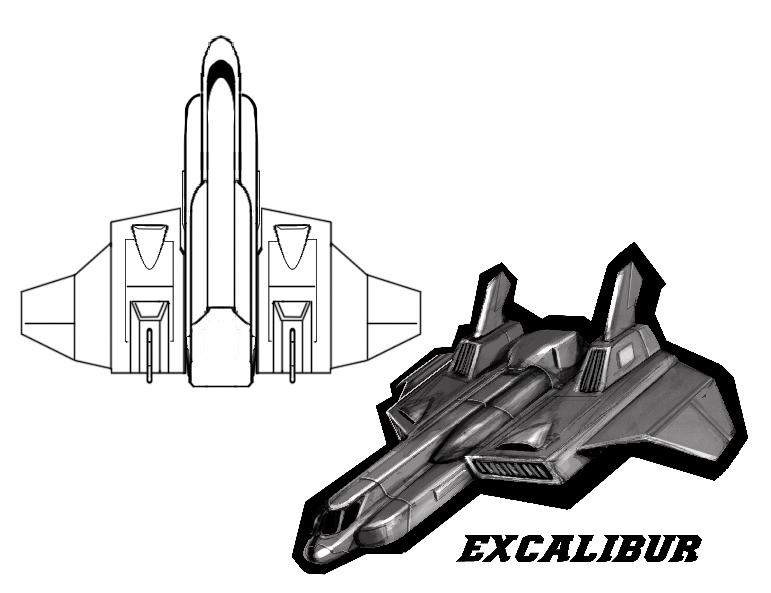 It 'feels' like an evolution of the ship we showed in our last update, but the design is clearly different. 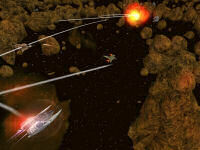 NinjaLA recently won the CIC's Xbox 360 contest by artistically recreating a capship battle from Wing Commander Arena. 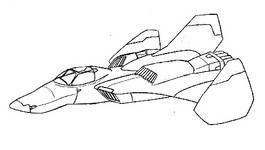 By popular request, here's the original "human" fighter designed for an early concept of Wing Commander Arena which would have included all new ships. 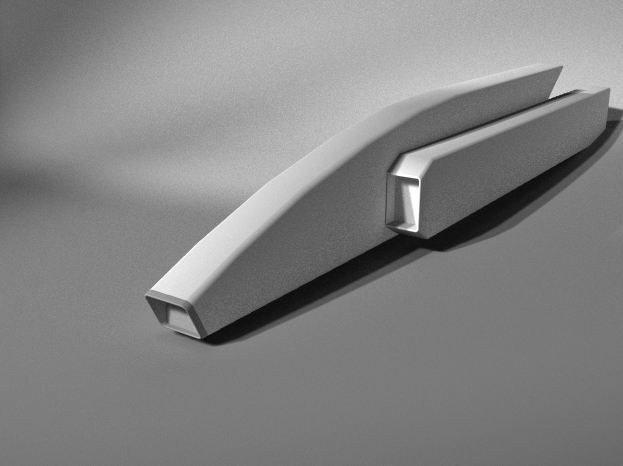 Note the line running along the top of the wing - the design was to include wide-tracking guns which could move back and forth along this bar. Chris Knudsen has released another update to his exciting Ascii Sector project. The new version has added five star systems, eight bases and the ability to hire wingmen. A reference map of the Crimson Quadrant has also been made available. Like previous releases, version 0.2 is designed for DOS/Windows, but it should run fine on other operating systems with the help of DOSBox. You can download the game here (750 KB). - Fixed bug that caused militia and confed ships to not react when you attacked a merchant ship. - Fixed bug that sometimes caused a mission objective to not be completed during a Patrol or Scout mission, even though the nav point had been patrolled and all hostiles destroyed. - Fixed bug with Weaponry not tagged as contraband. - Made time pass quicker when sleeping. 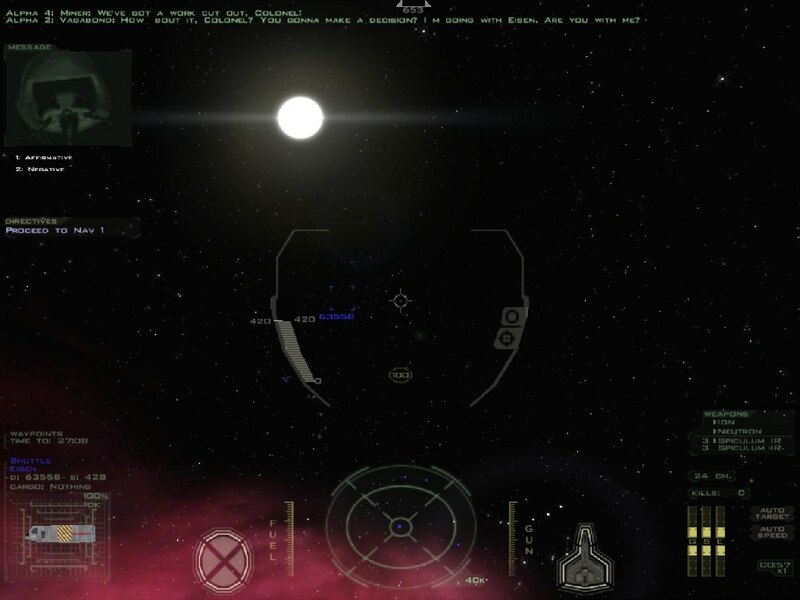 - Added circular "wipe-in" at beginning of a game to clearly show where you are. - Made pressing ESC quit the game instead of just ALT+X. - Passengers whose missions have expired will now disembark the next time you land (regardless of their original destination). 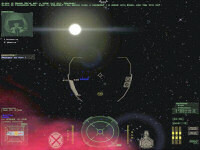 - Your ship will now exit autopilot just 10000m from you destination. - Added 5 new systems. - Added 8 new bases. IMPORTANT: If you load a game saved in a version of the game prior to version 0.2, all missions in your Quine4000 will be cleared! It is recommended that you first complete any active missions before running your saved game in version 0.2! View from the Top is a fascinating and in-depth analysis of 1991 at Origin... and the news isn't all good - the delays of big ticket projects like Strike Commander and Ultima 7 coupled with failures of games like Worlds of Ultima endangered the company. What won the day? You guessed it! 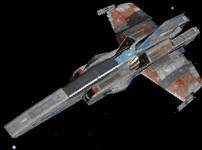 "It was a big year for the Wing Commander line. Wing I & II and their associated products accounted for 90% of domestic sales revenue. They also brought the company tremendous visibility and established ORIGIN's dominance in action/simulation as well as fantasy role playing... Given the limited success of some products and the slippage in schedule of others, hard work, Wing Commander and a certain amount of luck carried the company through what could havee been a very rough year." Bulldogs Take Flight describes a new push to sell Origin games at retail. It's mostly about upcoming titles, but Wing Commander gets some mentions: "Likewise, Fred Meyer, a 100 store chain, has picked up Ultima 7, Underworld and Wing Deluxe... Wing Deluxe is moving a little slower, but still sold in excess of 100 units in the first two days of release. Babbages has already placed a reorder for that." World Media Roundup talks about a whole lot of international magazines... and they're all honoring Wing Commander! Build a new shelf for the trophy case; there's simply no stopping Wing 2. Germany's DOS International and Windows magazines have named it "PC Product of the Year." Our German rep will be picking up the award at the Cebit Conference in Hanover this week. Through the wonderous technology of telephone, satellite communications and fact we've learned from our European Brand Manager, Jennie Evans, that Wing will be commanding a lot of attention at the upcoming European Computer Trade Show. Wing Commander has been nominated for "Best CD Game" (re-mastered onto CD-ROM by Software Toolworks), and Wing 2's been nominated for: Game of the Year, Best Action Game, Best Graphics, and Best Sound. The awards ceremony takes place April 12th at London's Limelight Club. As reported in an earlier 'Point,' the Australian mag PC Games Plus gave Wing 2 its 'Game of the Year' and 'Technical Brilliance' awards. Well, that issue finally made it to the states, and guess what....Chris took top honors as 'Game Designer of the Year.' Congratulations to him and the team for all of this well-deserved recognition. There's really no way to describe the impact that the Commander line has made on the industry. In the same issue of PC Games Plus, Wing 2 was nominated for 'Arcade/Action Game of the Year' (edged out by D/Generation) and ORIGIN was nominated for 'Software Published of the Year' (edged out by Sierra). ORIGIN junkies had more-so much more-to enjoy in the same mag. Wing 2 gets a glowing two-and-a-half page review. Special Operations gets a thumbs-up as well. Also... Look at the bulletin boards for these other articles: Wing 2's reviewed in PCM and Japan's PopCom, plus some playtips from VG & CE. 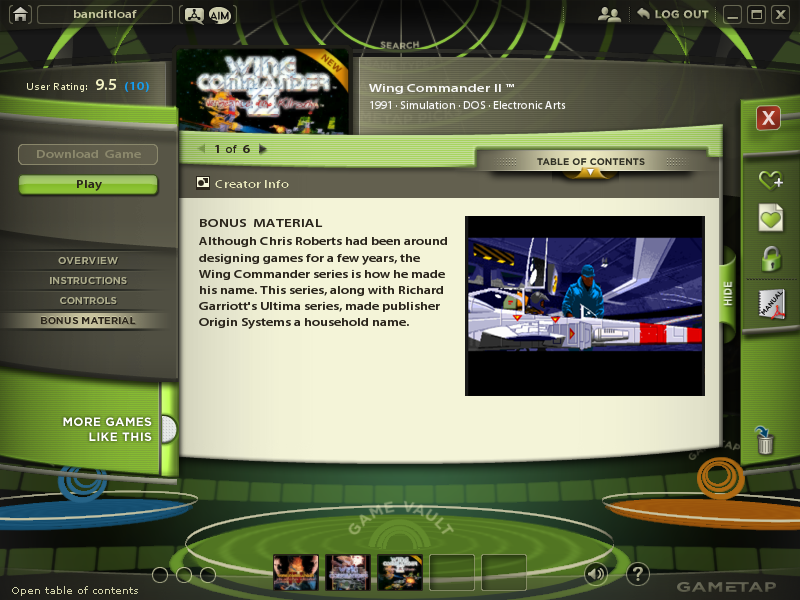 On the Tube reports that Wing Commander 2 will be on TV: "Wing 2 will be part of a 'Reviewer's Favorites' episode of The Computer Chronicles, a national PBS show. Locally, you can see it in Austin on cable channel 30 on Wednesday, March 25, at 10:00 pm and again on Friday, March 25, at 6:30 pm." At Press Time gives status reports for two WC titles in the pipeline: "W2/German Final 1.3 Strong--could sign off late next week & Spc. Ops. Alpha 1.1 Early stages, but lots of fun." 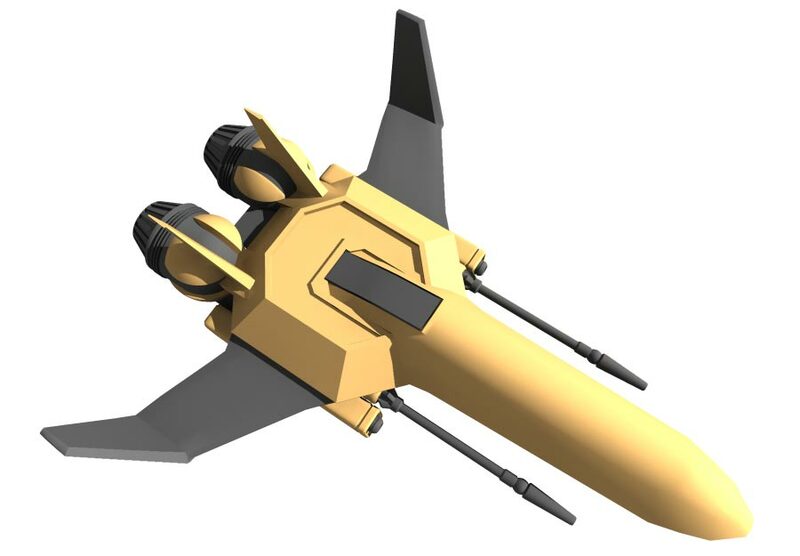 And, lastly: "In our next info-packed issue: An on-site report from the SPA symposium in Seattle, where Wing Commander II is up for awards in 3 categories. Don't miss it!" I've been hard at work off the radar creating all new, never before seen content for WC: Saga. Some familiar stuff, some new stuff, but all with Saga's devotion to high quality. 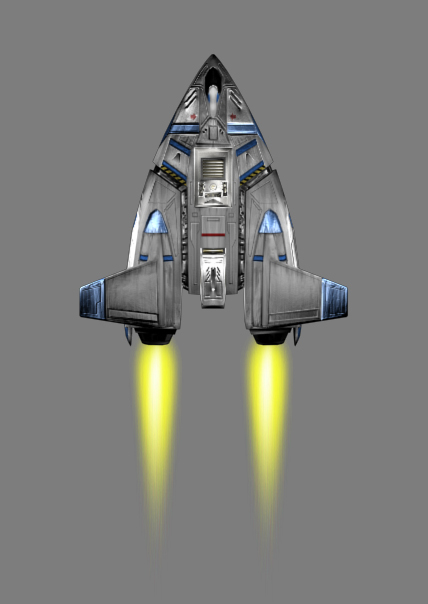 I've been authorized to release pics of this ship since it doesn't really give anything away about the campaign, just something I had a lot of fun making and convinced the guys (wasn't hard!) to put it in the game for me. 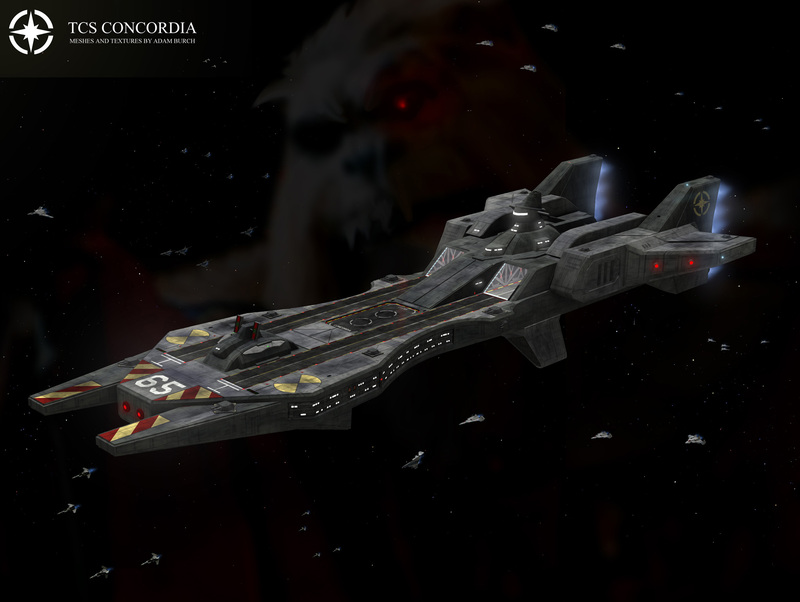 I tried to put my own spin on the old Concordia, bringing the old ship a little more into the real world. Hope everyone enjoys it, and gets warm fuzzy memories of WC2 without getting TOO upset at the changes! 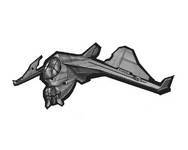 Several people have noted that the Bearcat seen in our last installment doesn't really look much like a... Bearcat. 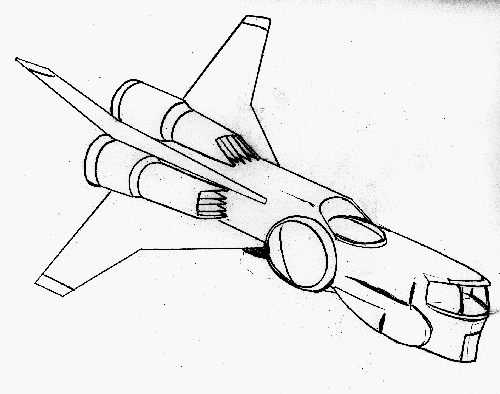 Well, you're in luck - here's another sketch which shows it from another angle. 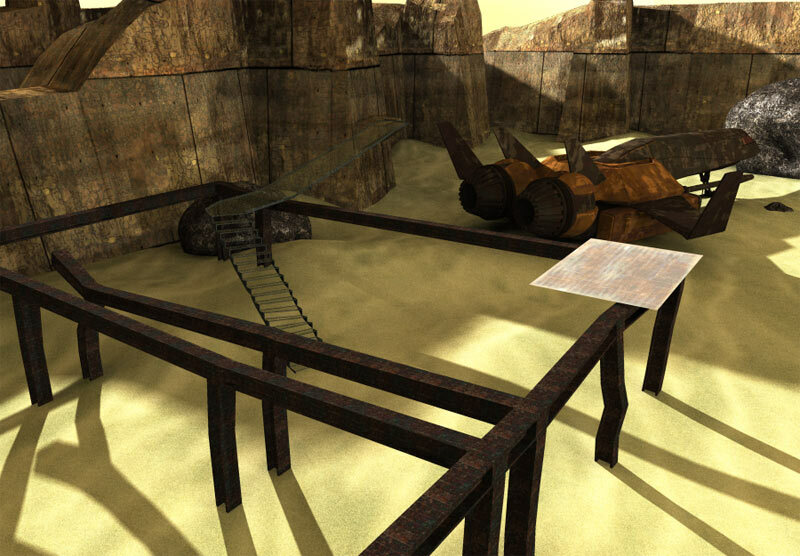 Remember that at this point in development this was a 'top down' game - so you would have seen the inset rather than the Rapier-style perspective view. 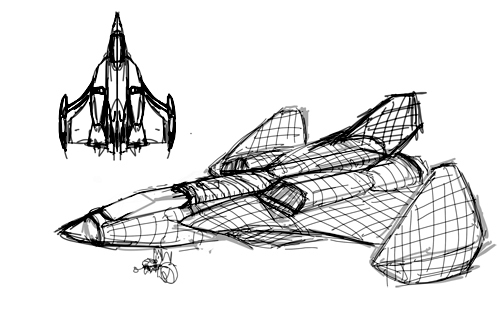 It's still not a clear jump from Wing Commander IV to here, but you can see where it came from! 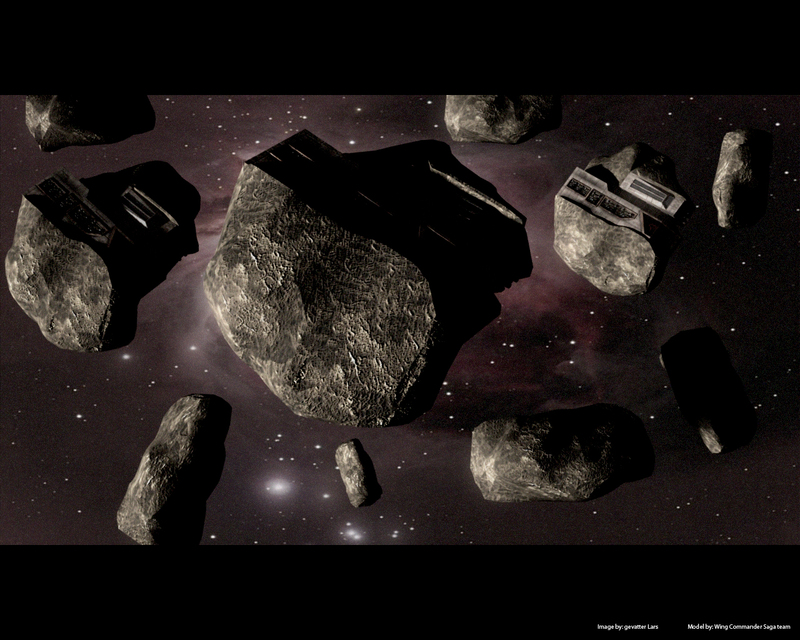 If you've played Standoff, then you've seen all the wonderful splash screens that highlight key events in the game. The team has now cleaned up those images, removed the overlayed text and released a huge pack of them for fans. Most of the scenes below represent winning and losing endgames of each Standoff episode, but a few bonus pictures also round out the pack. 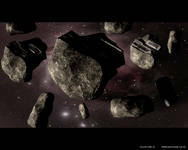 A few shots might look familiar, since modified versions of several have been previously released as wallpapers. 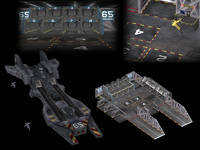 Check out high quality PNG versions and help provide feedback over at our Crius.net Forums. My favorite is that awesome Rigakh. As year two of Point of Origin rolls on, Underworld and Strike Commander still have not shipped... but the positive reviews and awards for Wing Commander 2 are still coming in from around the world! You may remember, Wing 2's already up for Best Arcade / Action Game and Best Entertainment Program. Word on the winners comes Tuesday, March 19, in Seattle. For the record: the SPA has now officially certified Wing 2 as "gold," marking the sale of more than 100,000 units (Wing 1 got its Gold Card last September). Special Operations 1 is awaiting certification as "silver" (50,000 units sold) as is the Speech Accessory Pack--originally expected to top out at 5,000. Marten says this is the first time he can recall being so proud to be so wrong. In the February issue, PC Sources reviews Mike's Wing Commander Strategy Guide. Russ Lockwood writes, 'It contains more than 200 pages of top-notch tactics to obliterate the dreaded Kilrathi.' He goes on to say that 'the information in this book will make you a better pilot, or at least a more informed one.' By the way, Mike's book is going into its third printing. The new Video Games and Computer Entertainment has write-ups for all its award winners in the February issue. You might remember, we told you that VG & CE surprised us at CES by dropping off a trophy naming Wing 2 as 'Best Computer Game of the Year.' A couple of quotes: 'It has relentless first-person combat action and riveting non-interactive scenes in one slick, science-fiction package.' 'Those with the hardware power to install the speech disks can enjoy the most effective, dramatic cut scenes ever included in a computer game.' More awards may be on the way. Check out 'The Envelope, Please' elsewhere in this issue. Wing 2 was also written up in the Chicago Tribune 'Best and Worst' column. Dennis Lynch named it 'Most Far-Out Sound of 1991.' He also named it 'Toughest Game to Run' due to the lengthy installation process. Guess it's the old 'is the glass half empty or half full' question. Special Operations coverage is starting to hit the gaming fans. 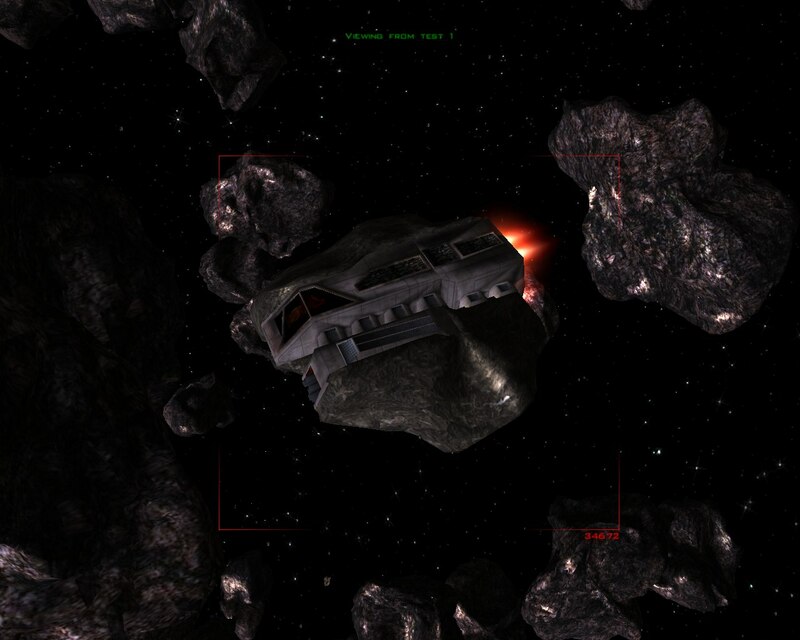 Computer Game Review says Special Ops 'has the quality and graphics that you have come to expect from Wing Commander I & II.' In Shay Addams' newsletter Simulations, Al Giovetti says he enjoyed the game so much that he plans to spend mega-bucks upgrading his system for the next installment. France's Joystick magazine (which has always been very kind to us) gives Special Ops a 95% rating. France's Tilt gives it 18 out of a possible 20. Michelle D has whipped up some artsy Gratha shots, but there's more to these scenes than pretty pictures. 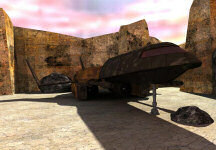 Each image gets a Privateer-style narration as "Dibb's Salvage" evolves in the Crius.net Fan Projects & Editing forum. Check out the complete story with captions in this thread. This is the third of three Wing Commander III/IV ships updated for an early Wing Commander Arena concept. 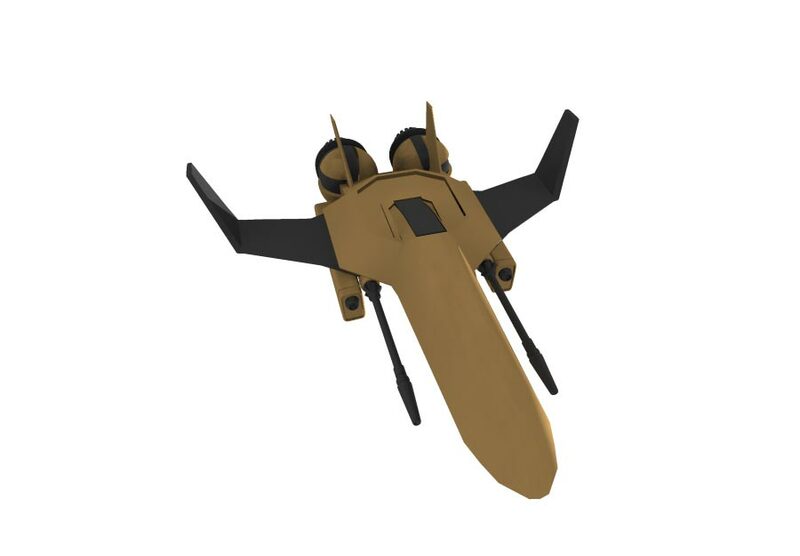 This is the Bearcat, which is unquestionably the most changed - it looks like a cross between the original ship and the Wing Commander I Rapier (which the game ended up including)! 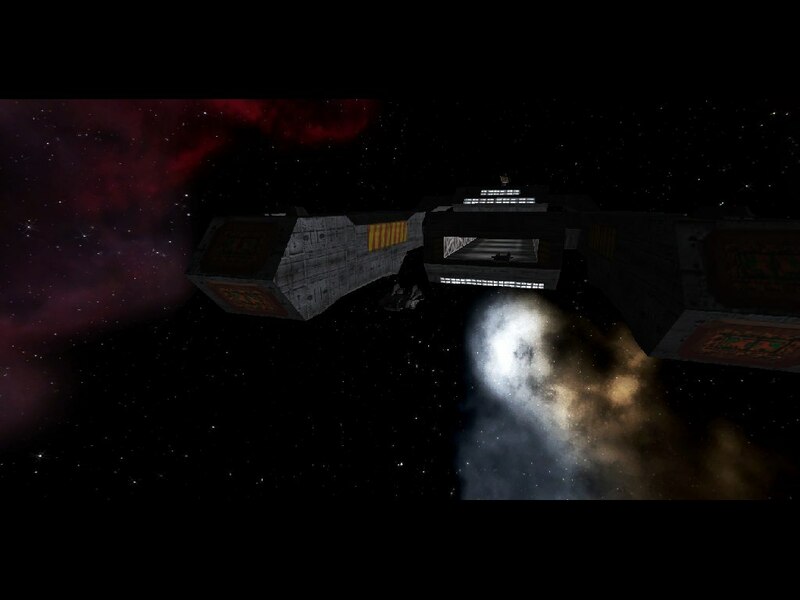 As promised, Standoff Episode 4 includes some improvements to the mission simulator onboard the TCS Firekka. Now the Convoy Strike and Blockade Run (missions 9 and 10) are being tracked by the online scoreboards, here on the CIC. In addition, you can check up on your firing accuracy and accumulated flight time. To see how you stack up against other Wingnuts, you need a Crius.net forums account and you need to advance to episode 2 to have access to the Standoff mission simulator. Missions 1, 2, 9 and 10 are being recorded online. Detailed instructions can be found here. In a budgetary game of beat the clock, three products will be heading out hte door before the fiscal year ends February 29: the Wing Commander Deluxe Edition, which includes Wing and both Secret Missions; ULTIMA The Second Trilogy (you can figure that one out); and Ultima VI for Amiga. The former two products were originally scheduled for 2nd quarter release, but the Christmas dry spell prompted a bump. That sent Marketing and Operations into their own 'crunch modes,' trying to get boxes designed, manuals printed and shipping scheduled. Some extra in-house effort from Mike Harrison, Debbie Nettingham, Craig Miller and Curtis Wood shaved two weeks from the normal five week process, so everything will be at STARpAK in time. Fred says these releases will put us 'back into business and helpend the fiscal yearon a decent note.'... The Sales staff is optimistic about all three products. 'The retail channel s till has a very high confidencein ORIGIN. It's really incredible,' Marten says. He adds that there is a virtual vacuum of competition out there, leaving a window of opportunity wide open when Underworld and U7 follow suit. The optimism'sbeen bolstered by good news from Software Toolworks, which released the CD-ROM version of Wing Deluxe and U6/Wing a few weeks ago. Sales have been even stronger than expected, indicating that the installed baseof CD drives is getting established. 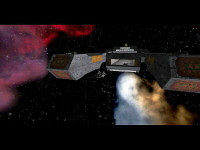 Remember Prince Thrakhath's flagship in the Wing Commander 2 intro? A lot of fans remember the majestic KIS Hha'ifra from its brief cutscene appearances, but quite a few assume it's just another Ralatha. 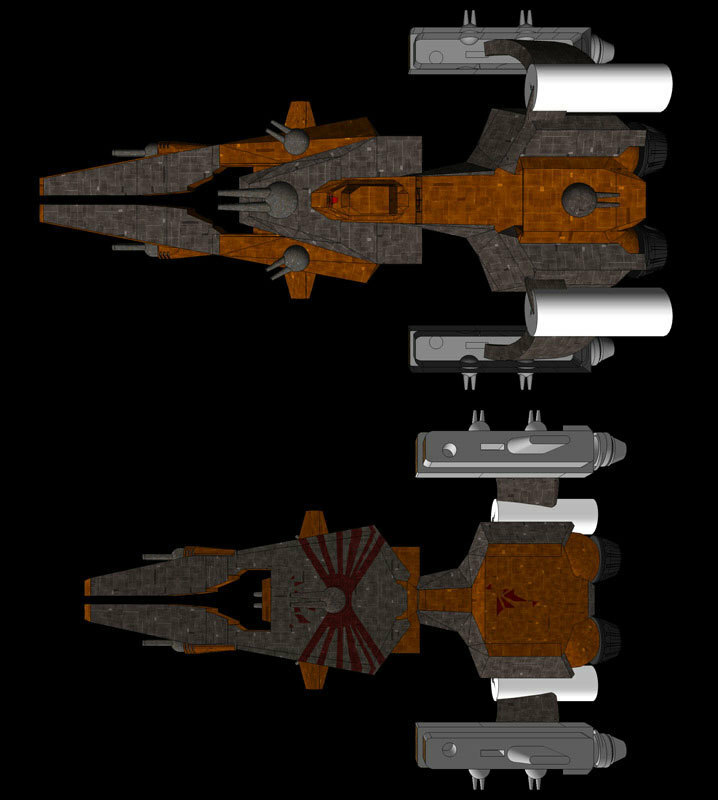 It's actually a fearsome Rigakh class cruiser however! LOAF whipped up a couple top/bottom shots to illustrate some of the unique aspects of each ship. 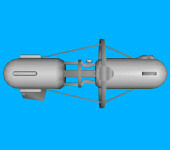 The engine nacelles on the larger Rigakh are more like a Fralthra's, and the Ralatha has fewer of them. 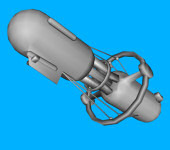 The Rigakh also appears to have a large bay opening in its nose. 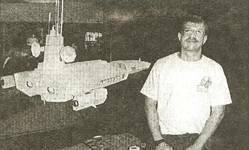 Always eager to seize a good opportunity to play with Wing Commander 2 ships, Marc has posed the Rigakh and Ralatha next to a Fralthra and Kamekh. 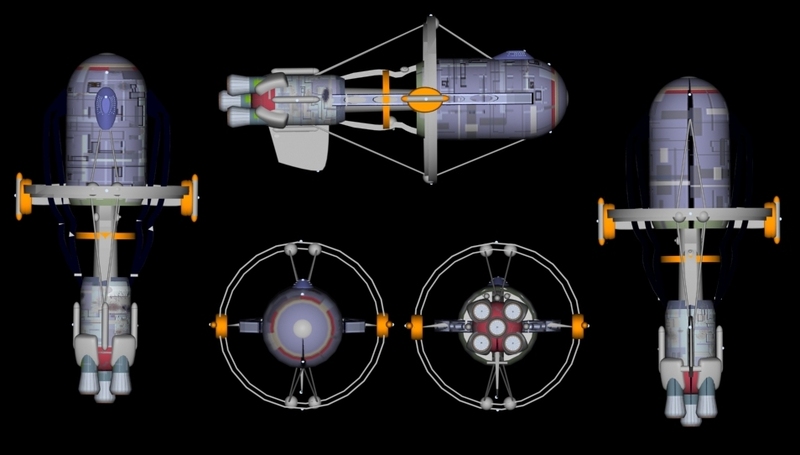 I don't have the original to render out, but here is the Rigakh (of course, not to scale). Another Wing Commander III/IV ship considered for Arena was the Longbow bomber! The folks at Gaia liked the Longbow so much that they slipped it into the finished build - you can find rows of WC4-painted Longbows parked all along the lower platforms of the space station map! EA has announced an agreement with Elevation Partners to acquire VG Holding Group, a move that would net them both BioWare and Pandemic Studios. The BioWare title Mass Effect is due for release in November; Pandemic's Mercenaries 2: World in Flames is scheduled for a February release. EA will hand over as much as $620 million in cash to VG Holding Group stockholders, and will issue an additional $155 million in equity to certain key members of VG Holding. The transaction is expected to close in January 2008. Pandemic president and co-founder Josh Resnick called EA "the ideal partner to bring our titles to market as global entertainment events," while BioWare's CEO Ray Muzyka said that "John Riccitiello's new vision for EA...is consistent with BioWare's focus on crafting the highest quality story-driven games in the world." Why is this important for us? It means that Electronic Arts once again has a studio in Austin, TX - a studio co-run by Rich Vogel, one of the leads on the Privateer Online! 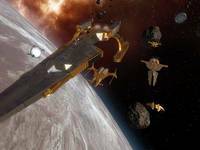 Almost equally-flattering is CGRs previewof Epic, the new space-combat game from Ocean U.K. It starts off: 'Attention Amiga and Atari ST owners--tiredof wishing ORIGIN would port Wing Ccommander II onto your platform? Epic is the answer.' It goes on to say how Epic is just about the next best thing in allw ays to Wing 2 for those machines. 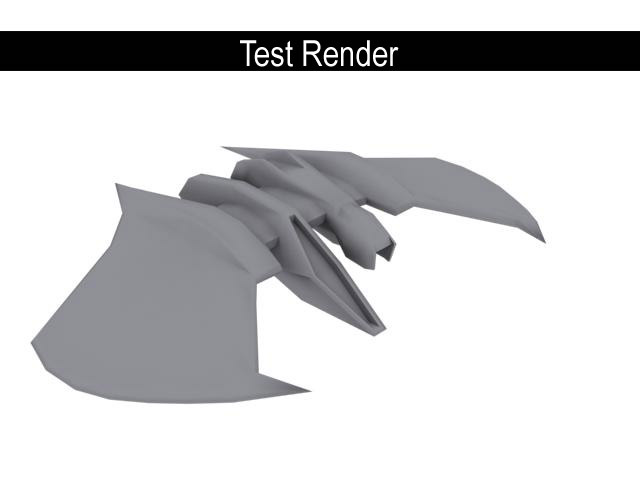 It even compares a screen shot to Wing 2's! Look for a copy on one of the bulletin boards in ORIGIN East and West. In the U.K.'s Strategy Plus, reviewers were asked to list the pro's and con's of 1991. 5 out of 8 of them listed Wing or Wing 2 as a 'pro' (one of those guys listed installing Wing 2 as a 'con'). As promised, Wing Commander II: Vengeance of the Kilrathi is now available on GameTap. If you have an account, the game is included with today's software update... if you don't, get one! GameTap is a subscription-based gaming service which offers 'hassle free' legal access to hundreds and hundreds of classic titles... including Wing Commander, Wing Commander II and Wing Commander IV! You can find the GameTap website for WC2 here and the online manual here. The download is 18 megabytes. 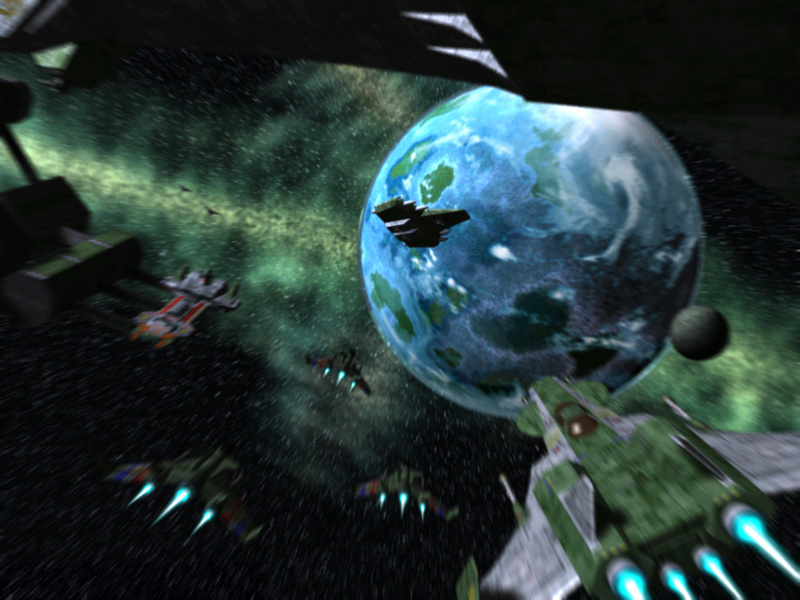 I gave it a quick run through... and it's the best GameTap'd Wing Commander title yet. It is the DOS version with the speech pack included, and the speed is just right. Mouths move correctly, fighters fly smoothly and you'll remember why you fell in love with the series in the first place. The only question is: what's next? 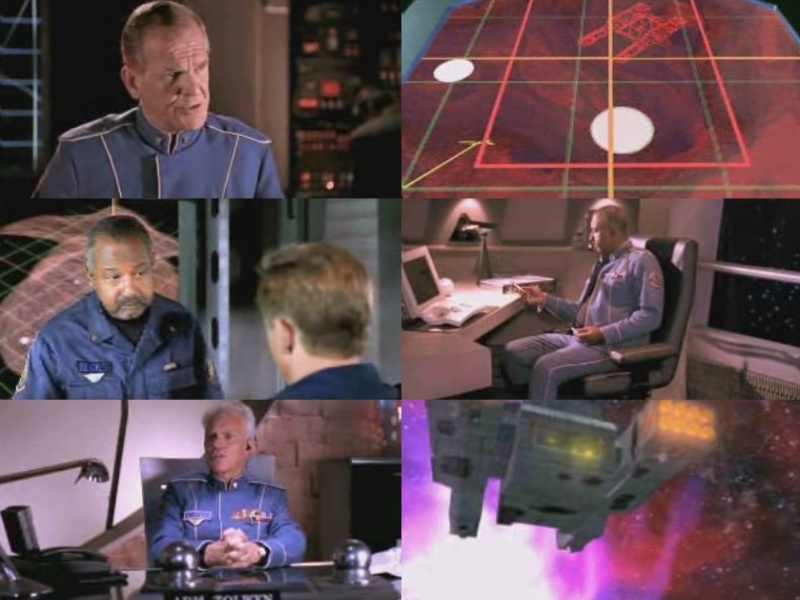 Wing Commander III? Privateer? Something completely different? Only time will tell! Happy New Year! Welcome to 1992. When last we checked Origin had missed the important Christmas deadline for Ultima VII, Ultima Underworld and Strike Commander... and those familiar with their history know that final product won't ship for another year. 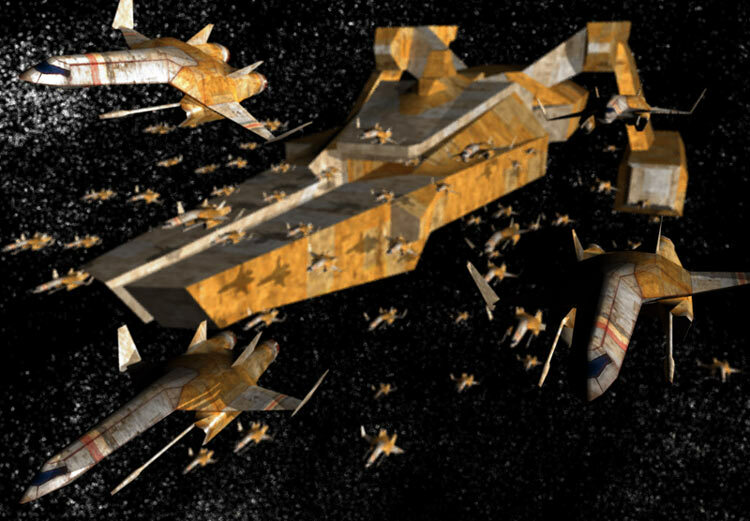 As this year of Point of Origin newsletters opens, we'll be seeing how the company deals with missed sales expectations... and how important Wing Commander was to their success. It's January 17th, 1992 and this is Vol. II, No. 9 (it will take several years for Origin to figure out the 'Vol, No' thing - look at Claw Marks!). Wing Commander II enjoys its own cult following. 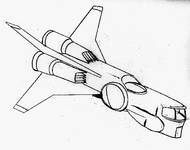 Just about everyone who picked up the joystick at that machine already had an intimate knowledge of the spacecraft, their weapon systems a nd the wingmen's personalities. Over on the Software Toolworks booth, Wing Commander playing off a surprisingly fast MPC-standard CD-Rom drivekept Wing fans equally enthralled. Just before the show, we leaned that Wing 2 picked up 'Game of the Year' a nd 'Technical Brilliance' awards from Australia's PC Games Plus Magaizne. Congrats to both teams. Back at the show, Marten, Karl, Anita and Jennie handed out a few awards of their own. They honored the distributors and retailers for helping Wing 2 achieve 500,000 units sold worldiwde. Customer Service After Hours talks about the success of a 'second shift' Customer Service phone program. The instigator? WC2: "Last week alone, rep's took 200 calls between 5:00 and 7:00 pm (the extended hours stated with the release of Wing 2)." And The Winner Is... announces that Wing Commander II and its related games have been nominated for a number of prestigious SPA awards: "We put WCI into 'Simulations' last year and got blown away by a crowded field of heavy-hitting competitors. It looks like the same might have happened this year with 12 titles duking it out, among them 5 flight sims. This year we went for tthe other possible Wing classification--Action/Arcade--and might actually take top honors if we can just blast away some Lemmings and Hedgehogs once we're through with those darned cats!)" WC2 was also nominated for 'Best Entertainment Program', and the speech accessory pack was nominated for 'Best New Use of a Computer'. In Other News finds another Wing Commander mention in a new magazine: "MPC World rolled out its premiere issue and included Wing 1 and Secret Missions in its Buyer's Guide. MPC World bill itself as the magazine for learning, working and playing with multimedia PCs. It says Wing 'is in a category all of its own. 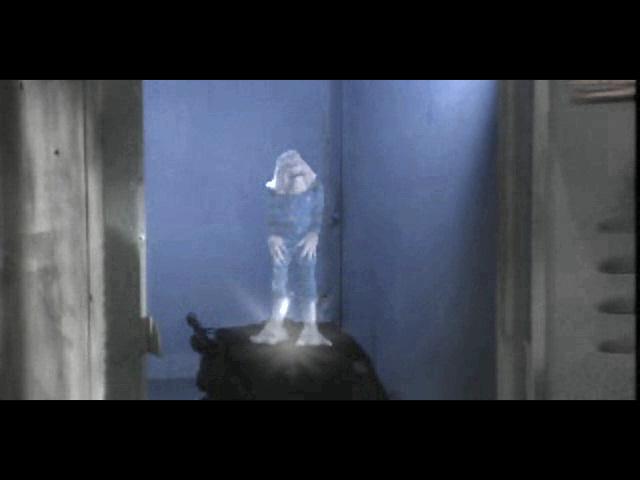 It's a grity, real-feeling simulation of the future. The Secret Missions is an impressive multimedia title.'" 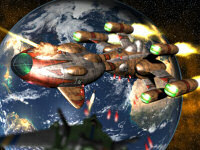 Electronics Arts has announced a new compilation of Command & Conquer titles. 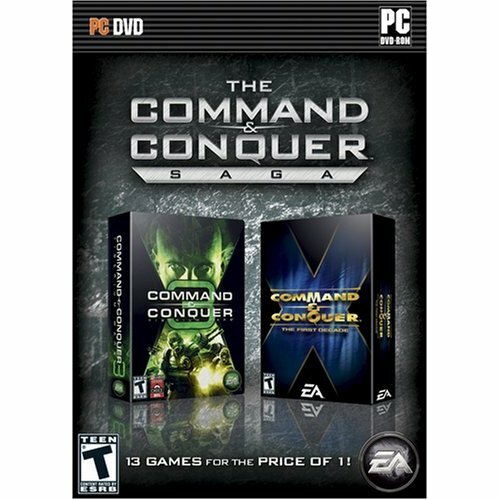 For $49.99, Command & Conquer Saga includes each game from the First Decade, plus the recent Command & Conquer 3 release. This is $20 less than buying the two separately and a great deal considering C&C3 debuted at the same price in March. The Command & Conquer franchise celebrated its 12th anniversary in August 2007. 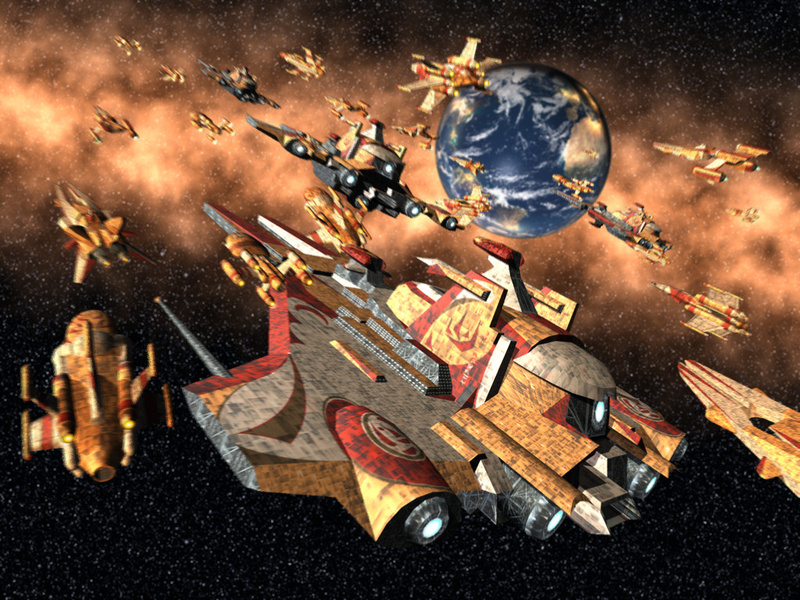 The groundbreaking franchise was one of the first to introduce players to the modern RTS genre, has spawned over a dozen PC titles, and ranks in the top 5 best-selling PC franchises of all-time to the NPD Group. Additionally, Command & Conquer Red Alert(TM) 2 and Command & Conquer Generals were the number one best-selling(1) PC RTS titles in 2000 and 2003 respectively. Collectively, the series has sold over 25 million units worldwide to date. 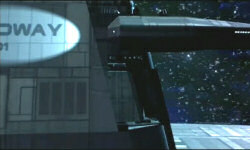 The company has also recently announced it is working on a new science fiction franchise. 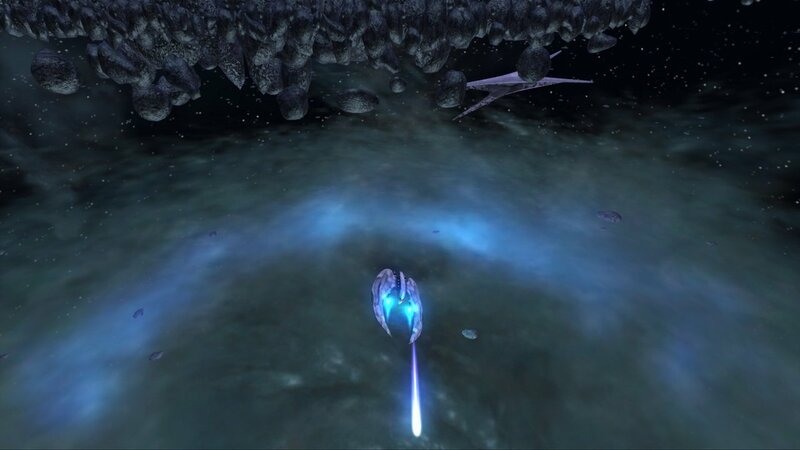 "Dead Space" is a sci-fi/horror mix scheduled for release on the PS3 and XBox 360 late next year. 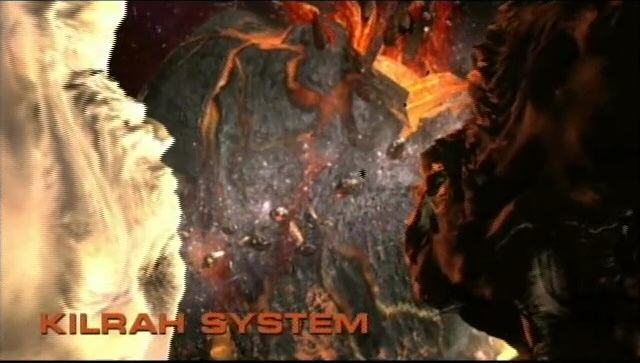 Set in the cold blackness of deep space, the atmosphere is soaked with a feeling of tension, dread and sheer terror. In Dead Space, players step into the role of engineer Isaac Clarke -- an ordinary man on a seemingly routine mission to fix the communications systems aboard a deep space mining ship. It is not long before Isaac awakes to a living nightmare when he learns that the ship's crew has been ravaged by a vicious alien infestation. 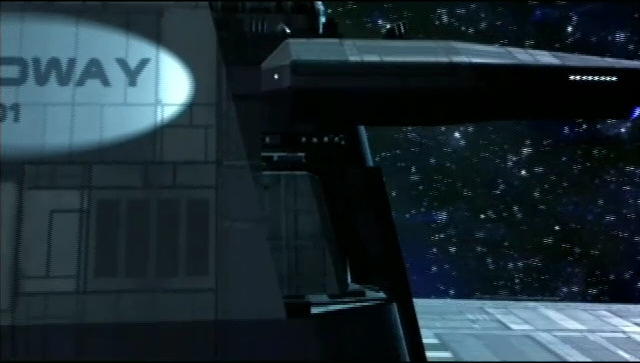 He must fight through the dead silence and darkness of deep space to stay alive. 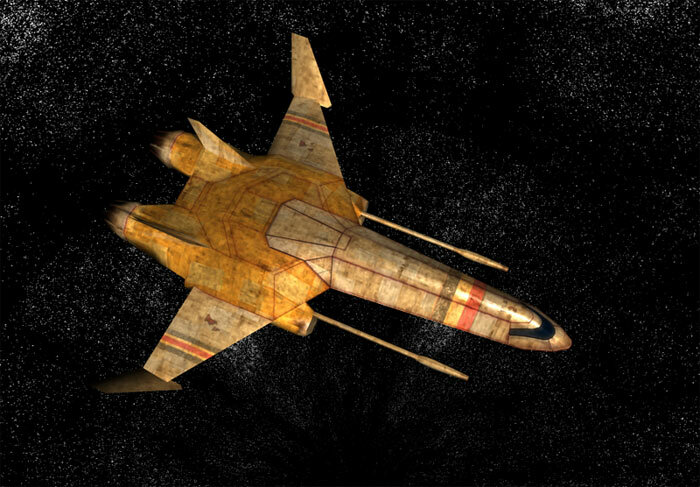 Not content to simply capture one, Fistius is building his own Thrakhra-class ComCon (for the unfamiliar, that's the impressive Kilrathi communications ship seen towards the end of the Wing Commander movie)! He says: "Its early days at the moment. 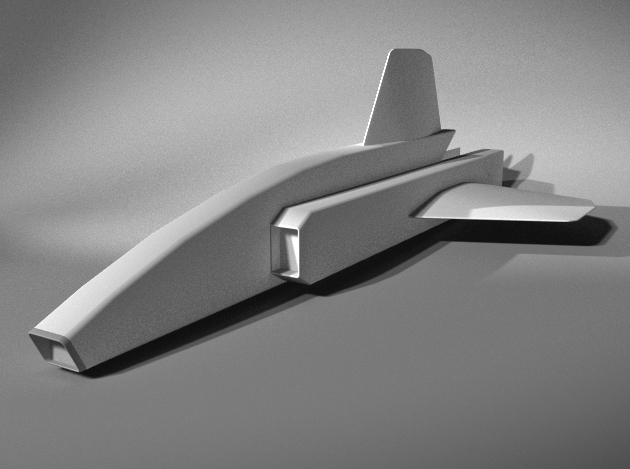 The finished model will be about 35cm long and will be 1/1400 scale... My references are the movie and the Confed Handbook. Oh and yes, that is a Lego dish, one of 3 Lego bits used so far!" I can't wait to see more! Close, But No Cigar has disappointing news for Wing 2 - it lost a major award: "Wing 2 misses Brit Game of the Year. London--All eyes (ours, at least) were on Wing 2 last night at the Industry Awards dinner.Wing 2 was up for 'Game of the Year' against some stiff competition. Alas, the intercontinental word from Jennie Evans is that Lemmings got the nod. ... As they say at the Academy Awards, 'It's an honor simply to be nominated,' especially when you consider that Wing 2 was the only PC title to make it to the ballot. Wing 2 is still picking up other trophies, though. Check out 'At Press Time' on page 2." At Press Time has better news for WC2: "Inside, Wing 2 picks up the award for 'Action/Adventure Game of the Year,' 'Best Opening Sequence,' and 'Best Sound Effects & Speech.' The CGR staff also voted it one of the three best sequels of 1991. Once again, congrats to the team for an unbeatable product." Name Game hints at two Origin products in the works - ones that would become Ultima VII Part 2 and Privateer: "Here's something to think about over the Christmas holidays: names for t wo of the next releases. Both 'Serpent Isle' and 'Next Frontier' are out of the running because of possible trade-mark problems. 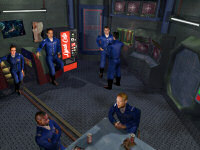 ... 'Next Frontier' was the working title for the system simulator dealing with the commercialization of space. If you want an idea of how dire the situation, 'This Space for Rent' is one of the top entries right now. Warren promises a free lunch to anyone who comes up with a name for either game. 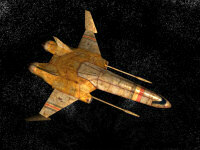 We're still looking for more names for the hero in the Wing Commander fiction. The person submitting the entry will also get to name a character and call sign in the computer version of Wing 3." There's more creative work from Gevatter Lars - now he's put together a new Wing Commander music video! 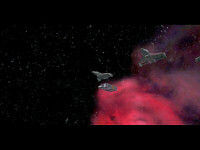 The video is scenes from Wing Commander Prophecy (DVD) set to 'Heroes' by Shinedown. Two versions are available - the first is a higher quality H.264-encoded file, which is available here (20.8 MB, AVI). If that doesn't work then you can try an ordinary WMV version here (20.8 MB, WMV). This is part eight of our series highlighting archived copies of Point of Origin, Origin Systems' internal newsletter. Christmas is coming up and the first localized versions of Wing Commander 2 are hitting Europe. At home, development continues on Strike Commander, Ultima VII and a range of FM Towns and other ports. Plus, the newsletter has a new logo! The winners were picked by Tilt readers and viewers of its television program, 'MicroKids.' Wing 2 picked up more than 50% of the votes cast. That's quite a feat, considering that much of the European market is still ST and Amiga. Jennie says, 'Many people voted for Wing 2 even though they didn't own PC's! In the Best Game category, Wing 2 edged out Lemmings (Amiga), Vroom (ST), Crosiere pour un cadavre (Amiga), Sonic and Super Mario 3 (both Amiga translations). In the Cinematic/Realistic/Creative Game category, Another World and Crosiere (both Amiga) shared the runner-up spots. The awards ceremony was carried live on French television an dthe timing couldn't have een better. 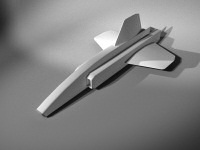 Wing 2 in French is almost ready for rollout and the first order is 3,000 pieces (and may be going up fast now). 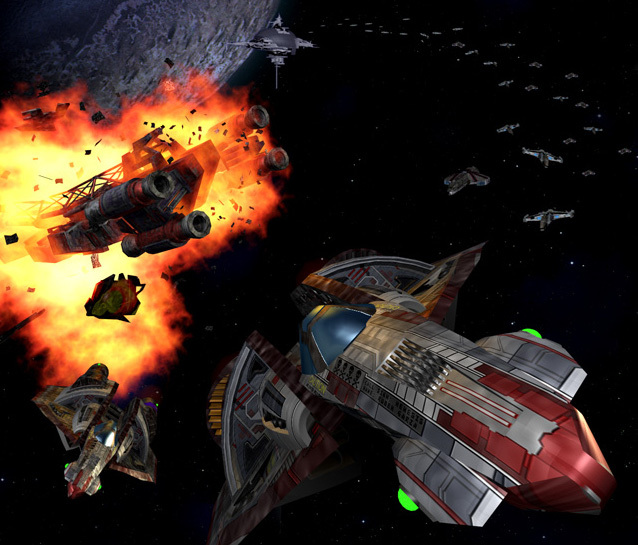 Chart-Buster has good news for sales of both Wing Commander games: "Computer Gaming World will hae to revamp the graphics on its readers' poll. Wing Commander II flew off the chart! It's followed closely by Wing 1. Congrats to both teams. That's the best advertising of all." 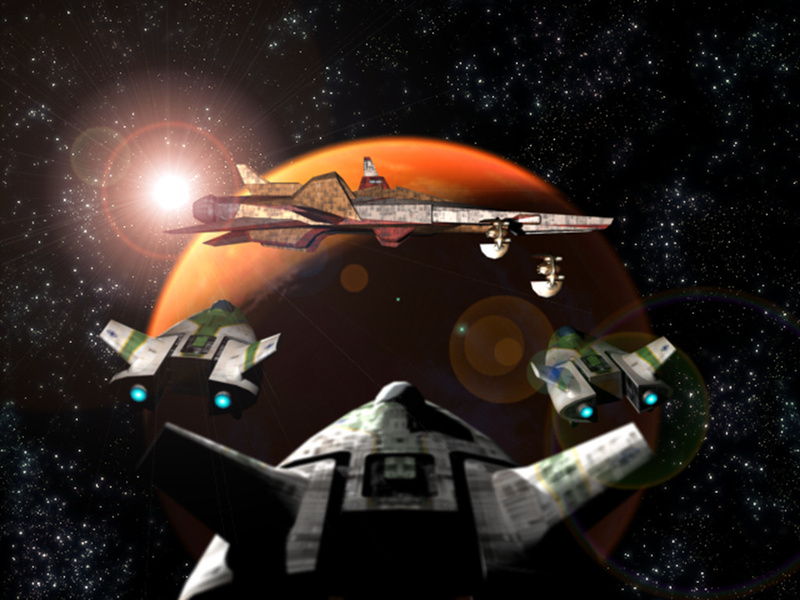 Picking Up Paychecks adds two new employees for the Wing Commander FM Towns project: "Duane Voth is aboard after doing some research time at MCC. He and fellow programmer Rob Broussard, formerly of Phyto Resource Research, will be working on the FM-TOWNS version of Wing Commander." 'Greg Keizer is everywhere! In the December issue of PEnthouse, he say, 'Smoother graphics and stronger story line make WC2's revenge theme even more addictive!' 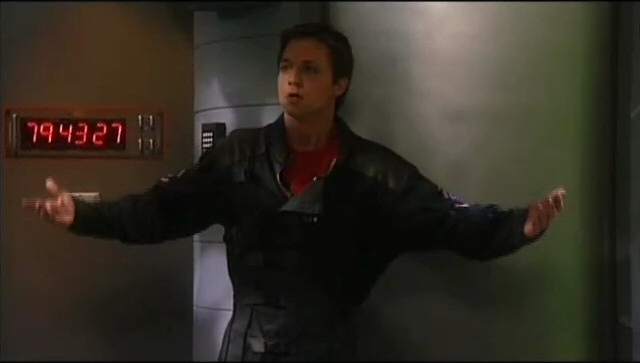 And in OMNI, he calls Wing 2 a 'sophisticated space-flight simulator in a science-fiction jacket lined with romance, treason, and fighter-jock egos. 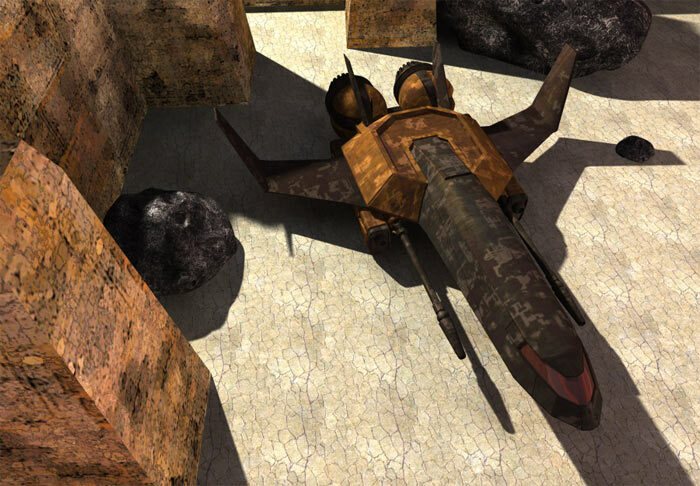 Test Pattern reports on the latest from Quality Assurance: "Meanwhile, the low-density version of Special Ops is signed-off and out the door to Europe, as is the CD version of Wing/Secret Missions for Software Toolworks release worldwide." Here's a first: Rmax2 has created fan art... for Wing Commander: Standoff! It's a single-panel comic which celebrates the game - pretty neat! The fantastic subject matter aside, this really is a wonderful piece of art... look at those clean, professional lines! 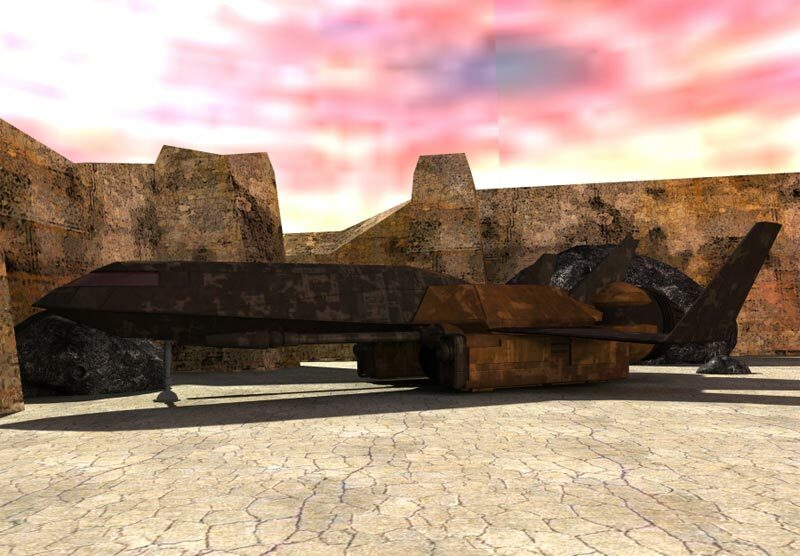 There are hundreds of terrible science fiction video games, but to make it onto this list it takes an epic saga like Wing Commander and an epic mistake like Kilrathi defector Hobbes going traitor in Wing Commander III: Heart of the Tiger. The lovable fur-suiter from Kilrah appeared in prior Wing Commander games and his defection to the Confederacy was a source of much drama during the story portions. Many of the human pilots hated him and assumed he was a traitor. Even in Wing Commander III you were given the option of becoming one of the few voices sticking up for Hobbes while everyone else warns that he's an untrustworthy monster. 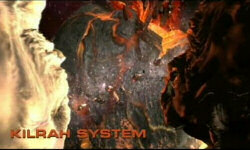 Then Hobbes transmits the plans for the human's war-ending bomb to the Kilrathi, kills a human pilot, and escapes. Some fans of the series claim double-traitor Hobbes did what he did because of his conscience, but all signs in the game point towards a totally retarded sleeper agent plot. He was evil all along. The moral of the story is...distrust outsiders and never stick up for the weird guy everybody hates. Was the "Hobbes is a traitor" plot a genius double fake-out? Was Chris Roberts an overrated doofus when it comes to stories? I think Chris Roberts answered those questions with his Wing Commander movie. I don't think fans of the series claim Hobbes defected because of his conscience - we've seen his holo-message on the subject. It's also worth pointing out that Chris Roberts didn't write Wing Commander III - he was the producer and director of the film shoot. Thanks to all who submitted this! This is part seven of our series highlighting archived copies of Point of Origin, Origin Systems' internal newsletter (Hey, at least it's free.) Looks like they remembered how to count! It's now November 22, 1991 and everyone is getting ready to celebrate Thanksgiving. The big projects which the company had hoped to finish by Christmas, Ultima VII and Stike Commander, have both been delayed into the next year - but more obscure releases like Special Operations, Wing Commander/Ultima 6 CD-ROM and Ultima 6 FM Towns are marching on! Dallas Does San Fran relays Dallas Snell's trip to a Fujitsu conference promoting the FM Towns. "After the conference, Dalls swung over to Software Toolworks for a sight-seeing/fact-finding tour and to talk about the CD-ROM projects they're doing, like Wing/U6." The Big Score reports on a new distribution deal with the Handleman Company, responsible for stocking stores like Sears and Target. That's good news for WC2: "Handleman's initial order is for about 1680 pieces of Wing 2 and about 630 pieces of U7, the majority of which will be going into Sears Brand Central stores. Future plans call for expansions into Handleman's other chains. Marten says Wing 2 is still holding its own, but Special Ops could spark it up. He thinks we could get a second round of sell-through activity before Christmas, even in a soft consumer spending market." There's a new flight simulator newsletter out, appropriately called Simulations! It's published by Shay Addams of QuestBuster fame. In the premier issue, Bernie Yee's review of Wing 2 was positive but notglowing. Look for copies on the boards. PC Sources will be joining PC Consumer reviewing Mike Harrison's Wing Commander book. It's selling so well that it's gone into a second printing. In case you didn't hear at last week's Social Hour, Wing Commander lost its #1 spot on the Computer Gaming World Top-100 Chart--to Wing 2! Assistant Editor Alan Emrich says the Reader Survey rating of 10.91 (out of a possible 12) may be a new record. Kudos to both project teams. Charting the World follows suit for the rest of the world: "Tilt Magazine (France) gives Wing 2 19 outof a possible 20 points. On Generation 4's 'Hit Parade' in Germany, Wing 2 is #1 on the PC chart. ASM Magazine (German) rates Wing 2 'Prima'. On the German 'Hitline' for MS-DOS,Wing is #4 and Wing 2 is #6. Germany sends us two other awards via a users' group known as Deutsche Abenteuer Spiel Auszeichnung (DASA). 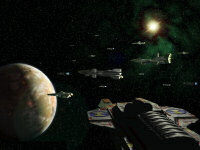 It named Ultima VI 'Best Computer Role-Playing Game of 1990' and honored Wing Commander of 'Best Computer Strategy-Simulation Game of 1990.' Wow! First the Berlin Wall, and then all this..."
Play It Again has good news from QA - Special Operations 1 has signed off! "First and foremost is the official signoff of Special Operations, which said through playtesting and out the door this week. It's slated to ship on Monday. 'I don't remember how many bugs there were, but there weren't many,' Sherry said. 'That really says a lot, not only for the Special Ops team, but for the Wing 2 team, too. It shows their game really holds together well.' The staff sends its heartfelt thanks to QA for doubling its efforts to keep Special Ops moving in time for Thanksgiving. In your last newsletter, you said you're looking for names for the hero in the new Wing Commander book. HA! Fat chance! No way am I going to focus all my creative energies without some sort of reward. Catch my drift? What's in it for me? Raptor's back with another chapter of Holding the Line. It's been several months since the last completely new installment, so without further delay, here's Welcome to Hell 6: End of the Line, Part One (2/2). As promised, here is the second half of the two-parter that I mailed out last week. As you saw last week, the Confed reserve pilots had pulled off a daring ambush against the Nephilim. At the same time however, the Nephilim plague is continuing to spread, and concern over the Allied losses grow in the media. This chapter picks up from there, and is also written by James Andrew "JAG" Greenhow. Please send any and all comments to him at mailto:rambo_123uk _at_ hotmail.com, not to me. 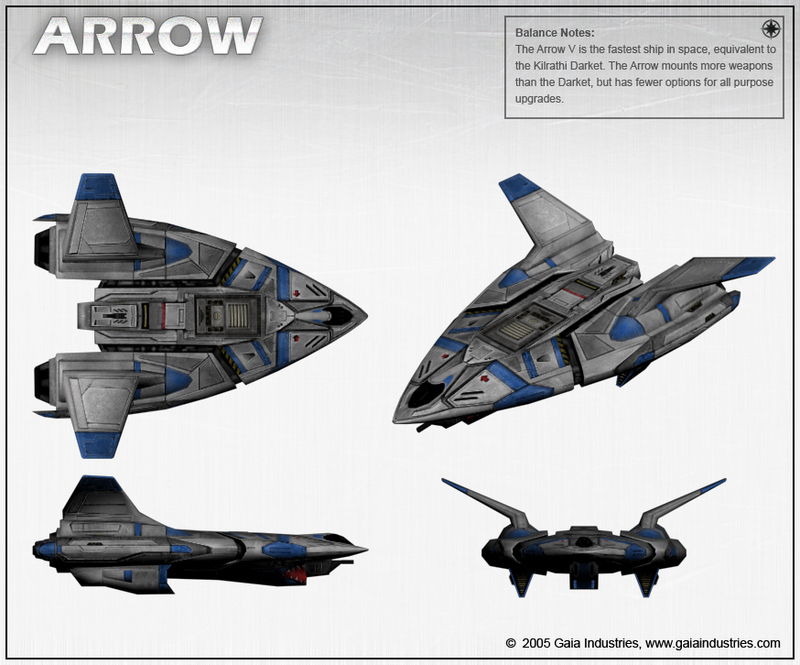 Here's another Arrow image - this one shows a concept which did make it into the game, if not in this specific format. These five Arrows show different 'armor upgrades'. 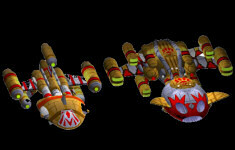 The finished game has three different models with less modular updates, but it's clear where that thought came from. You've actually seen this image before - it was one of those posted to Gaia's Arena bulletin board which we studied carefully before the game was released. Much has been made of Deacon's 'Das Erwachen' Privateer 2 fan-novel in the last several months... and now you can read the whole thing for yourself (assuming you speak German)! Deacon is currently in the process of serializing the story at our own message boards. He's posting section after section to this thread where German readers will eventually find the entire text of the book! At preesent he's just about half way done posting the 526 page story. Do you speak German and want to help translate it for the many interested English-speaking Wing Commander fans? Then let him know! Point of Origin: Vol. 1, No. 5... Again! This is part six of our series highlighting archived copies of Point of Origin, Origin Systems' internal newsletter (more than 300 foisted monthly). Your eyes aren't deceiving you - for whatever reason there are two different Point of Origin Vol. 1, No. 5s. This one comes on November 8, 1991 - two weeks after the last Vol. 1, No. 5. 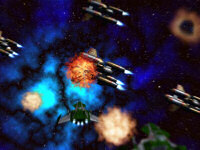 Origin is getting ready to launch Special Operations 1 and Wing Commander II is still getting a lot of press! Dany brought over the latest issue of Joystick, in which Wing Commander II gets a 100% rating. It's only the second time in the magazine's history for a game to receive that mark. What's the first, you ask? Wing Commander, of course! ...PC Review is a brand-new publication in England. In its premier issue, it called Wing 2 a 'computer event.' There were a few technical glitches, however, in terms of layout and typos, so Christina says Wing 2 will get another mention in the next issue. ...Jennie Evans, our Brand Manager with Mindscape in England, took the tape demos of Strike, Wing and U7 around to W.H. Smith, one of the U.K.'s biggest boo/stationery/record/software stores. 'They don't usually carry software for the PC,' Jennie says, 'but after I blew up some Kilrathi fighters, they were completely baffled (impressed).' Could this be another major product pipeline? We'll keep you updated. ...PC Format is another new publication in England. In its second issue, the only game to rank higher than Wing 2 was Might and Magic. Phone Sects updates everyone on the Customer Service and direct sales: "A couple of weeks ago, Mike Rundell had a conference on CompuServe with Ellen Guon and Steve Beeman for Wing 2. They did a terrific job... Orders are pouring in for U7, Strike, and Special Operations. 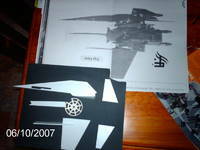 Last month, sales hit $17,000 (not bad, considering most of the orders were $18.95 for the Wing book.)" Bytes to Chew On reports good news for WC2: "Marten has applied for SPA accreditation for Wing 2 to go 'gold.' According to our calculations it surpassed 100,000 copies in less than 60 days!" The $6 Million Quest delivers bad news - three of Origin's largest projects will miss the Christmas release. The good news? Special Operations 1 will be out as planned: "WCII Special Ops I looks promising for release on schedule in mid-November (congratulations to Ellen Guon & Team!)." Serious Playtime, updates from Quality Assurance, says SO1 is going well: "Special Ops is running smoothly informal beta." 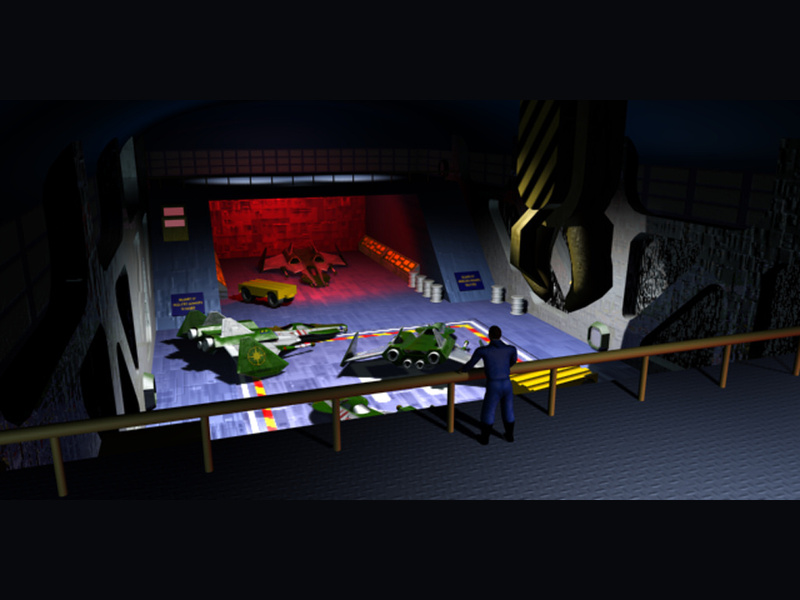 It also hints at Wing Commander's involvement in the rise of the CD-ROM: "And the gang has its hands on new CD-ROMs to test the Wing Commander/U6 bundle from Software Toolworks." Today we're showcasing another wonderful Arrow image - this is a mock-up image created to work out what afterburners should look like in Wing Commander Arena. Remember that Arena was originally a completely top-down game - so this art (and many other pieces you will see in the coming weeks) shows the ship from straight above. 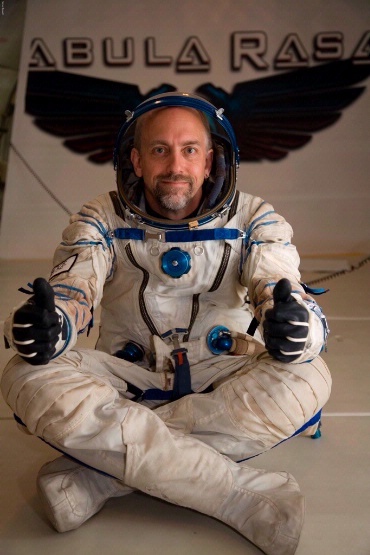 It's official - Origin Systems founder Richard Garriott is bound for the International Space Station! 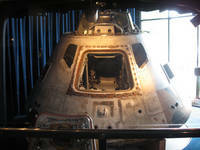 He will be launching aboard Soyuz TMA-13 in October, 2008 and returning ten days later on Soyuz TMA-12. While at the station he will conduct a series of scientific experiments now being developed. He's set up a website, RichardInSpace.com, to allow people track his progress over the next year. We wish him the best of luck! In a fun coincidence, Frosty and I recently visited the Apollo spacecraft that carried Garriott's father to Skylab in 1973 (right). This is part five of our series highlighting archived copies of Point of Origin, Origin Systems' internal newsletter (Point Motto: We Create Words). The date is October 25th, 1991: Wing Commander II has hit the stores and Ultima VII and Strike Commander are in development - and the company is growing by leaps and ounds. Viva Las COMDEX!, an article on the recent trade show, ends with good news for WC2's sales: "Wing Commander II debuted at #8 on Merisel's Entertainment Top-10. That's the first time we've ever made their chards and considering that Merisel's a big-time hardware distributor in the business channel, it could mean big-time orders just in time for Christmas." Black Thursday, an article about the Customer Service department, lauds an employee for providing help with WC2: "Our 'Best of the Quest Award' this issue has to go to Michelle Lindner, who helped a guy who was having toruble with Wing II in Chula Vista, California. He wrote Robert a letter which reads: 'Michelle was undoubtedly the most helpful and sincere Customer Service Representative I have ever dealt with, and that includes the legendary rep's at WordPerfect! One day (when finances allow), I plan to uprade to a SoundBlasterboard. As long as individuals like Michelle represent ORIGIN and provide what I consider to be the utmost in customer service, I am sure that I can upgrade without fear." No gamer's bookshelf will be complete without Wing Commander I & II: The Ultimate Strategy Guide, written byour own Creative Services Manager Pro-Tem Mike Harrison. It's ORIGIN's first venturewith Prima Publishing. 'It's the best looking publication we've ever done,' says Publications Manager David Ladyman. The book's chocked full of tactics and tips, even pictures of the product teams and an interview with Chris. The timing couldn't be better, either. 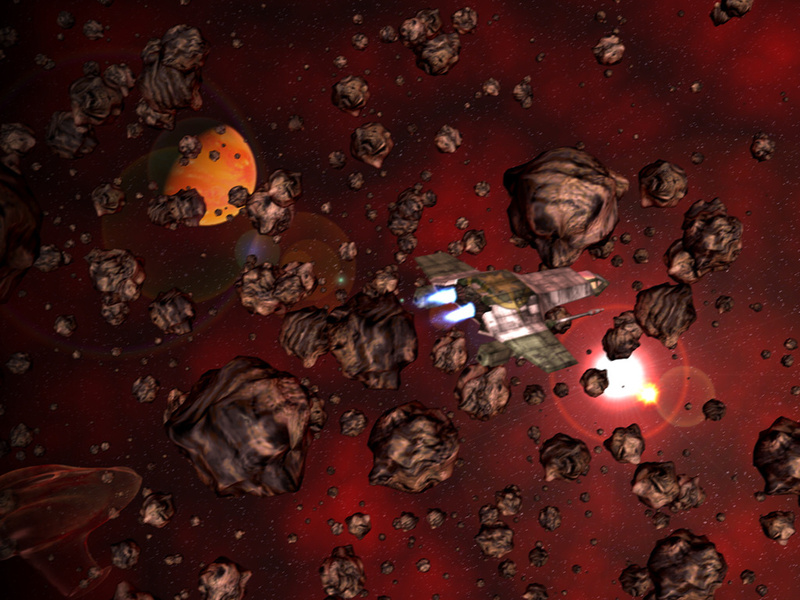 Wing Commander II is still soaring at software stores and Special Operations is about to hit the shelves. If you don't have a compliemntary copy of the book yet, check with Wayne. And, of course, recommend that all your friends, family, neighbors and pets shell out $18.95 for theirs. Rank and File lists both the SFA Top-10 for August, 1991 and the Software, Etc. Top-5 for September, 1991. 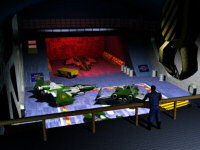 The SFA list includes Wing Commander at #6 and Wing Commander Secret Missions at #22. The Software, Etc. list is even more impressive: "1. 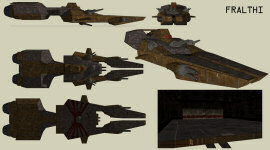 Wing Commander II (3.5 vers. ), 2. 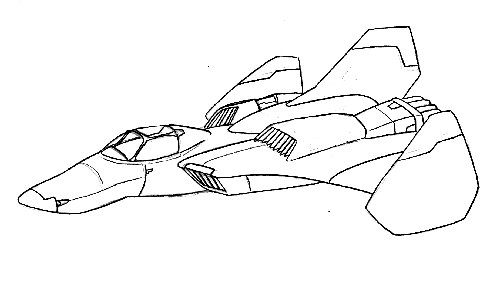 Wing CommanderII (5.25 vers. ), 3. 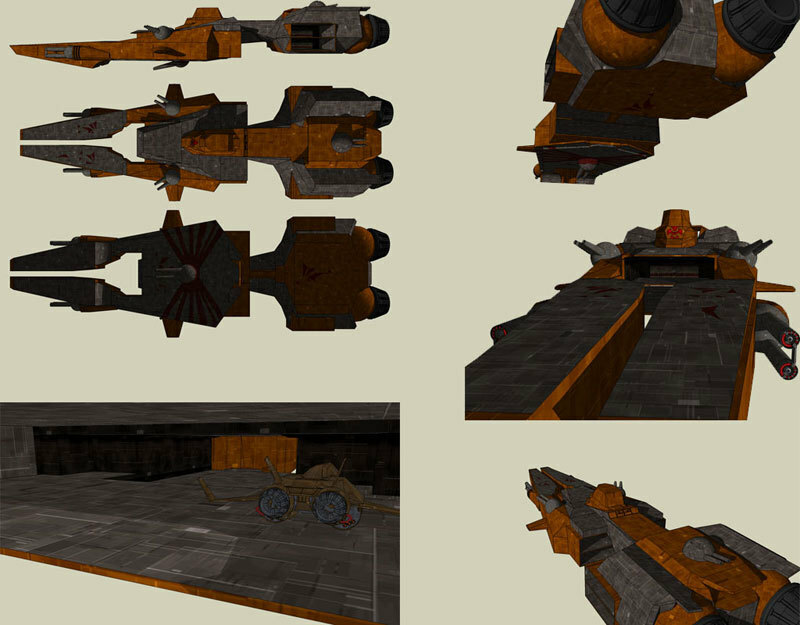 Wing Commander II: Speech Pak (Editor's Note: Software, Etc. says Speech Pak 3.5 would havetaken the #4 spot, but they ran out of stock and ORIGIN did, too!)"